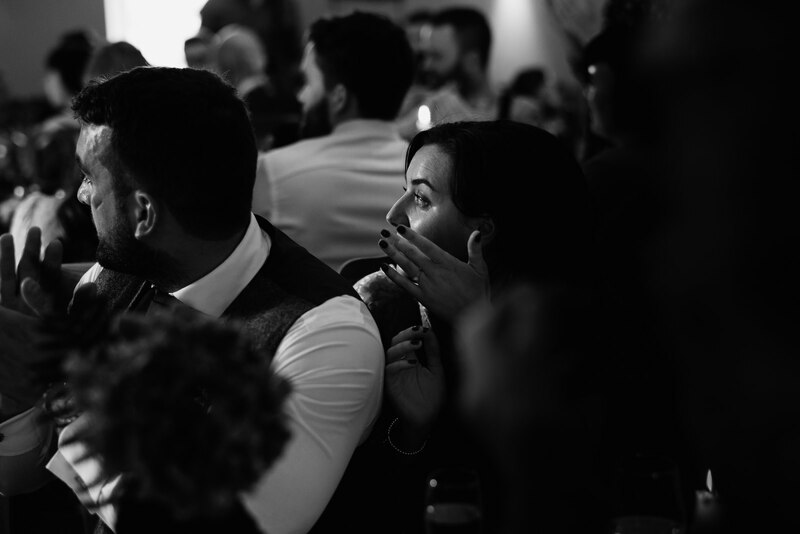 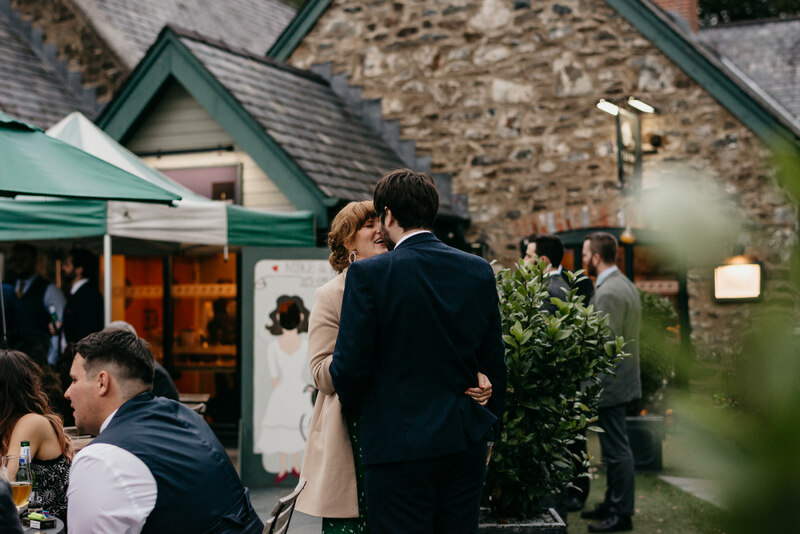 Nia & Mike married on Saturday at Bodnant Welsh Food Centre surrounded by their closest family and friends. 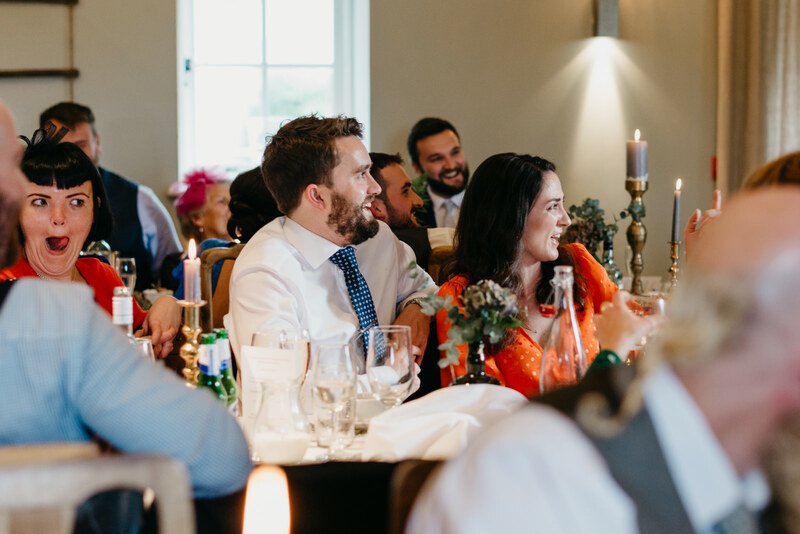 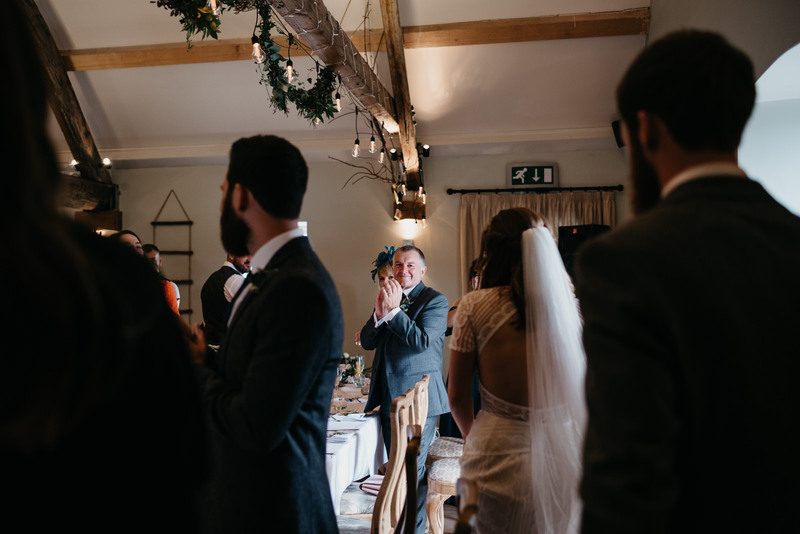 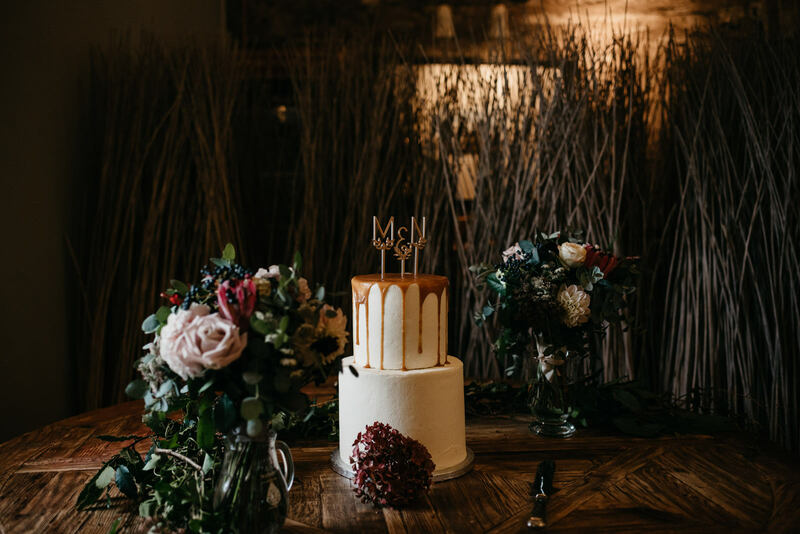 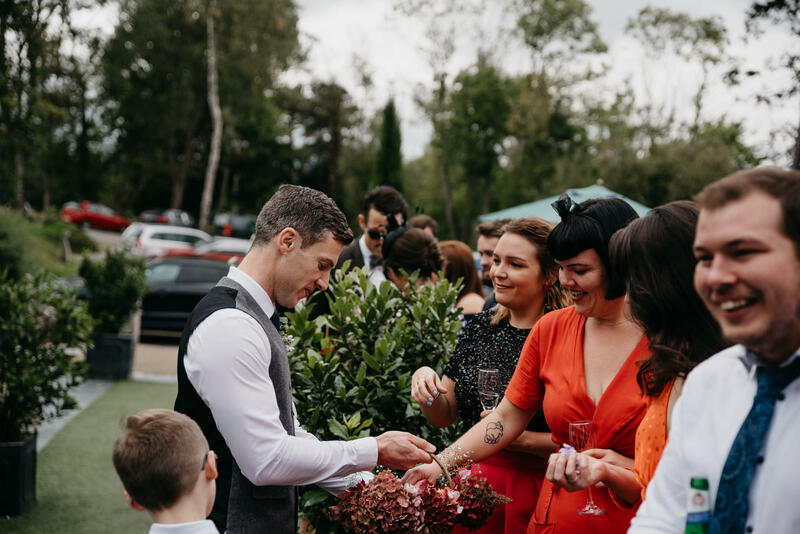 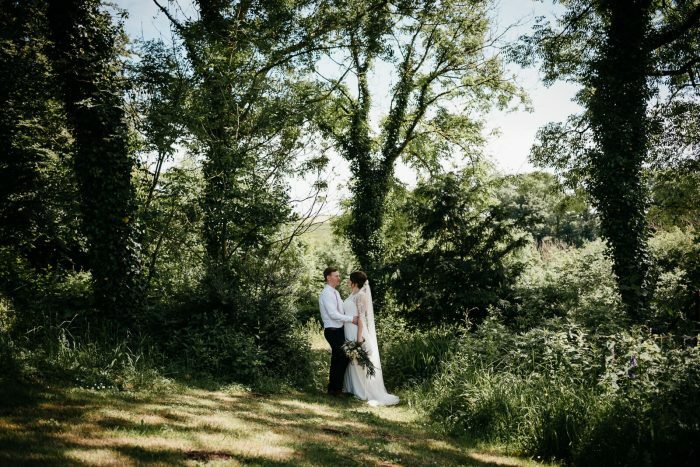 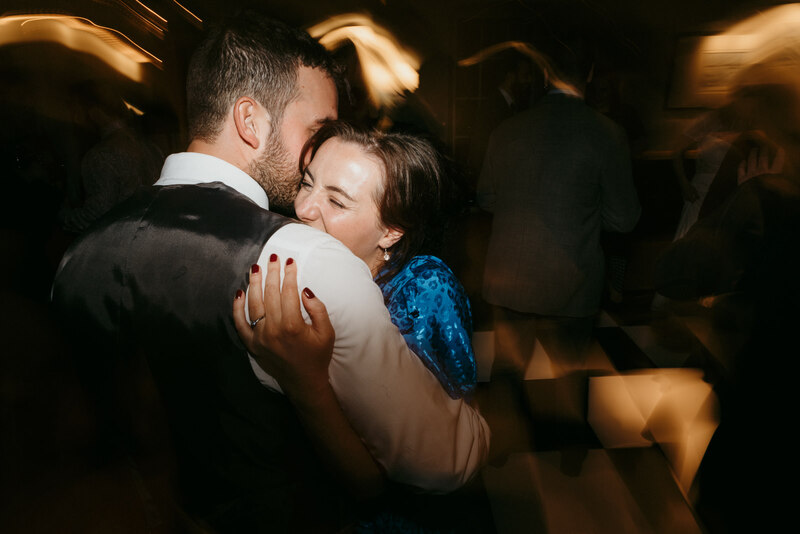 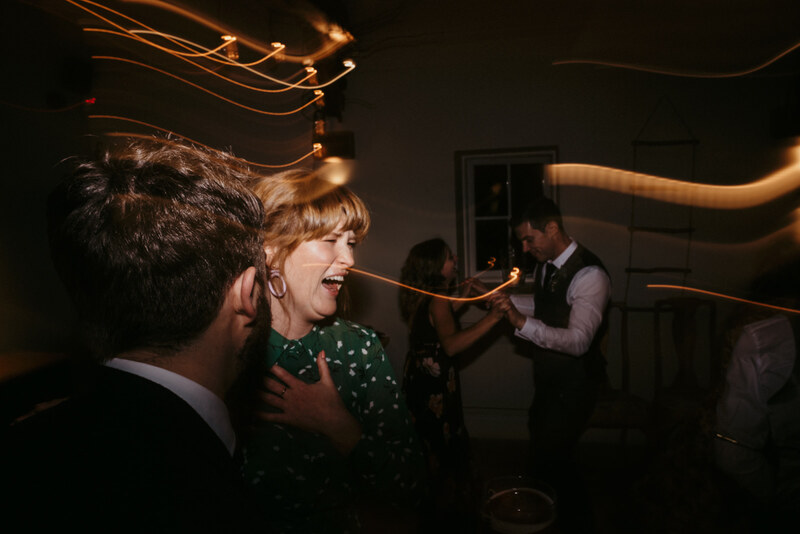 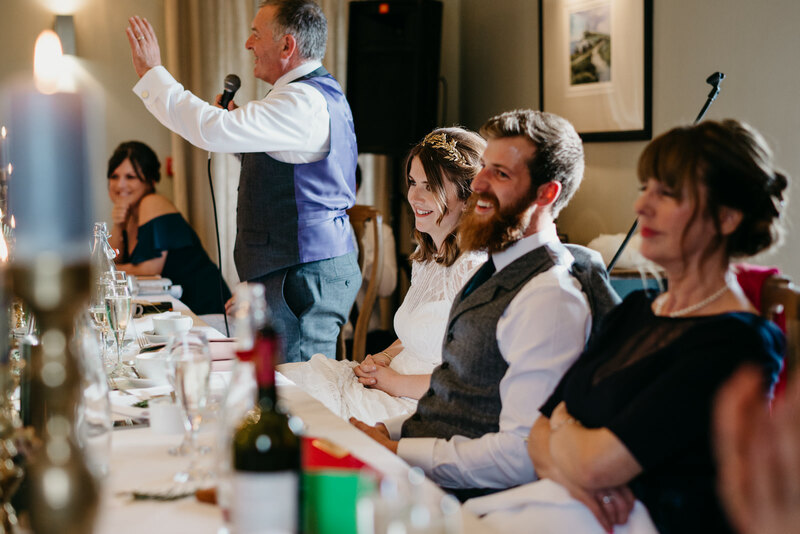 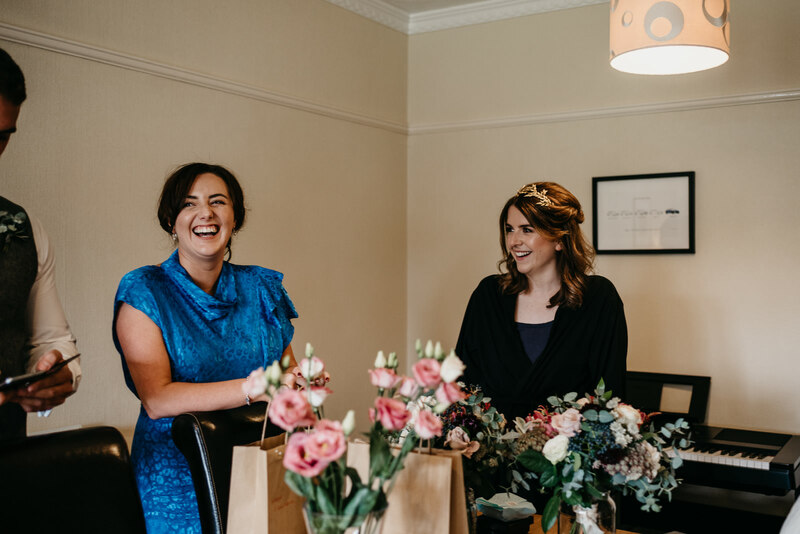 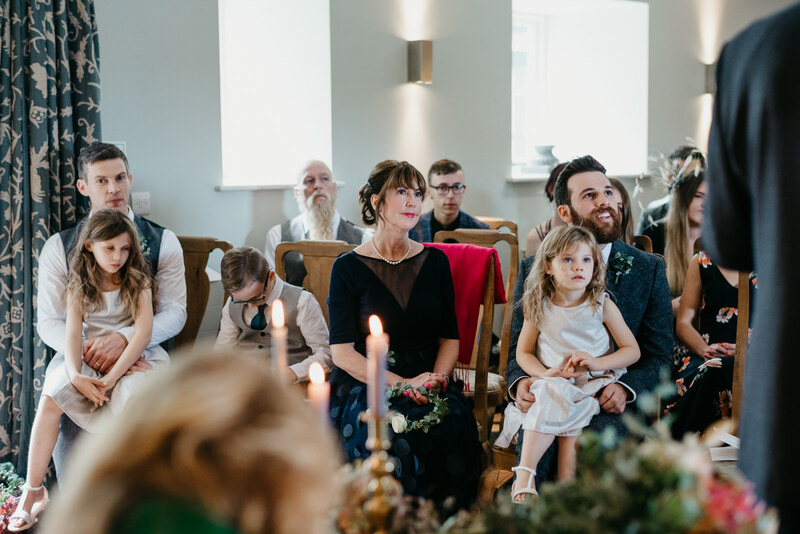 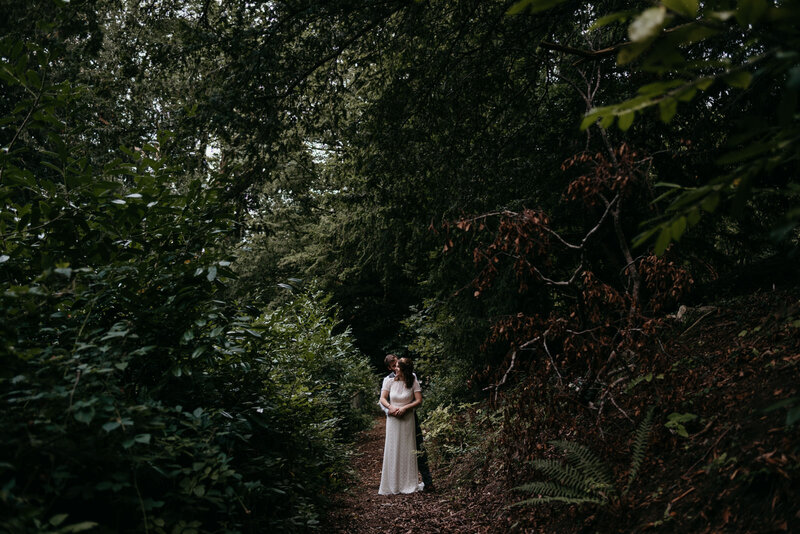 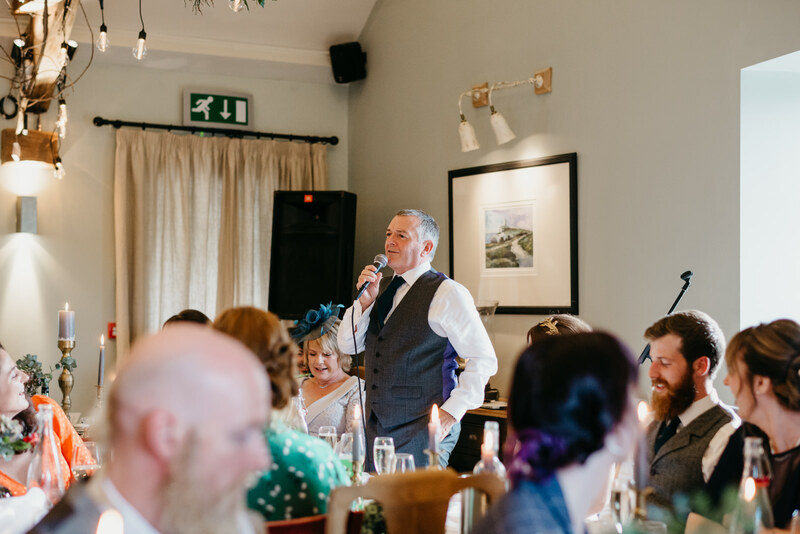 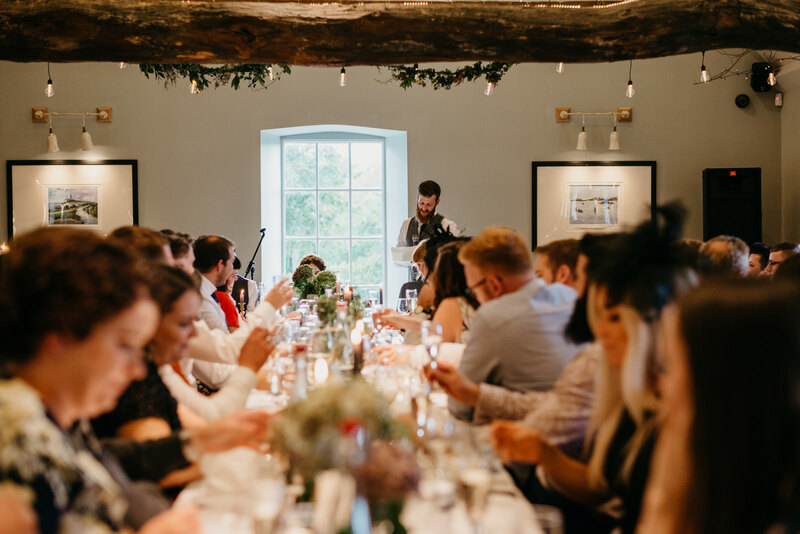 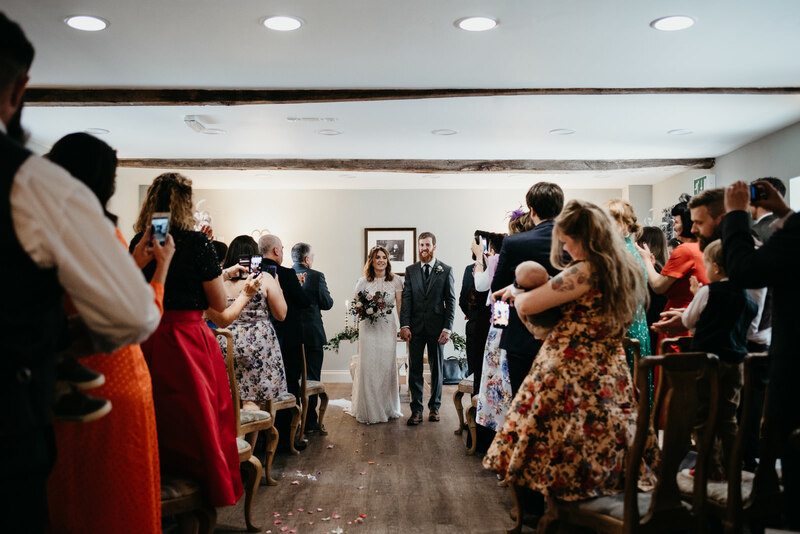 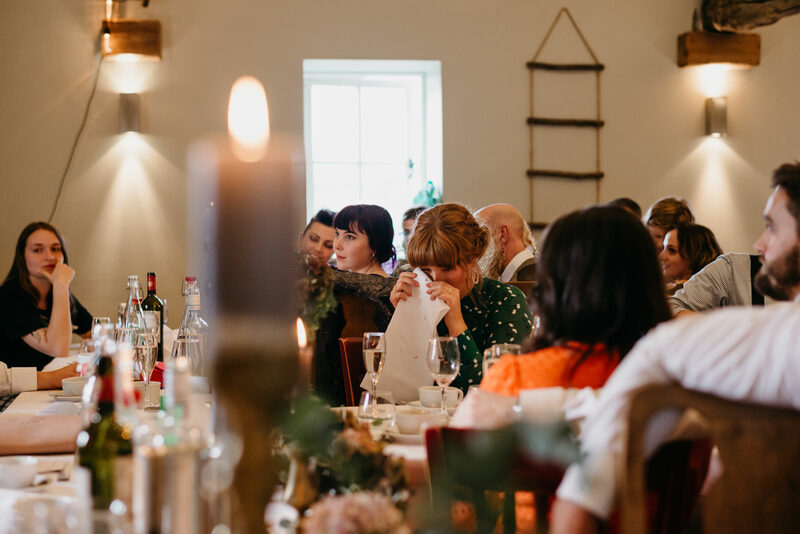 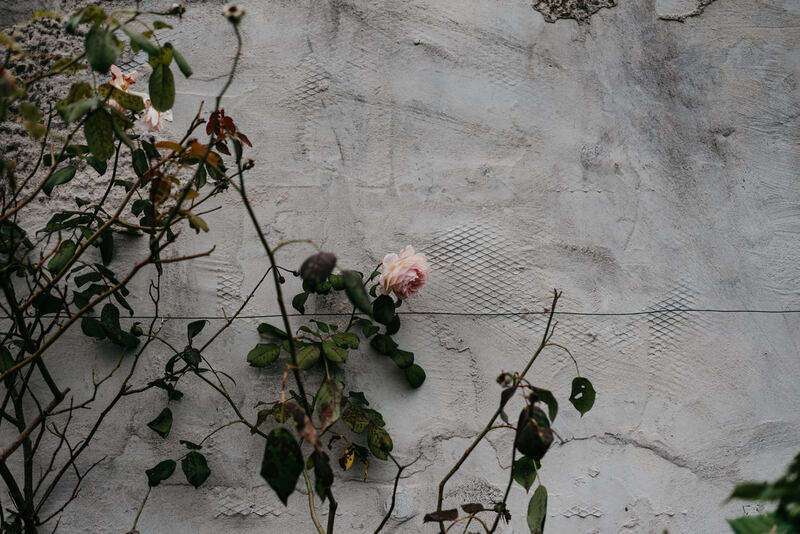 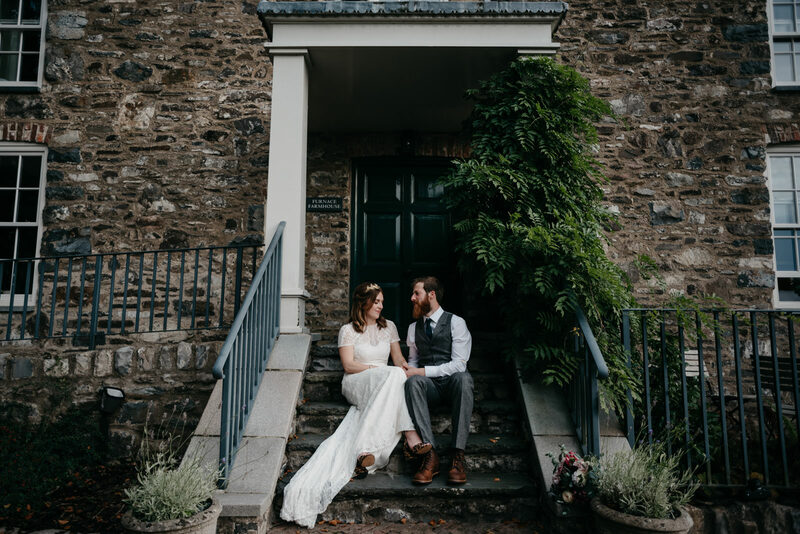 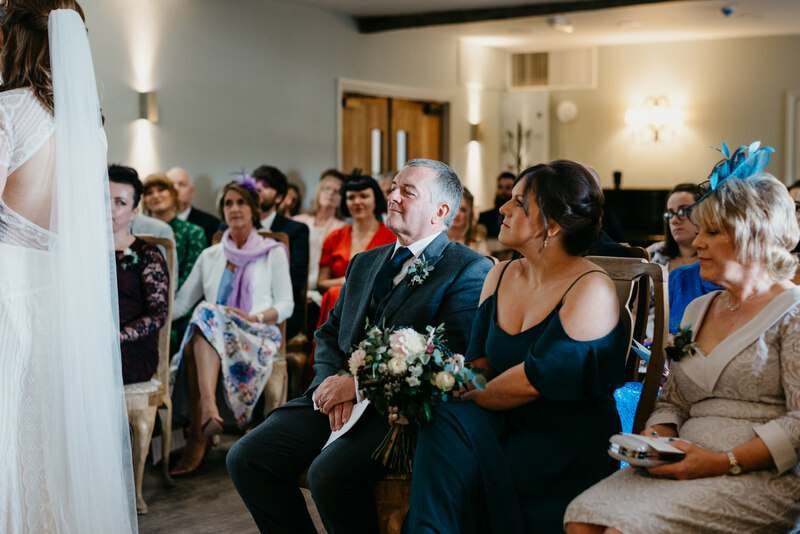 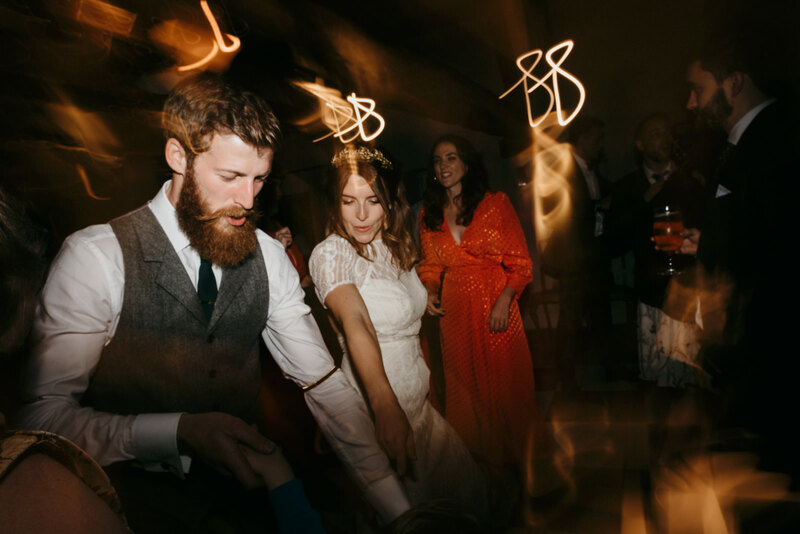 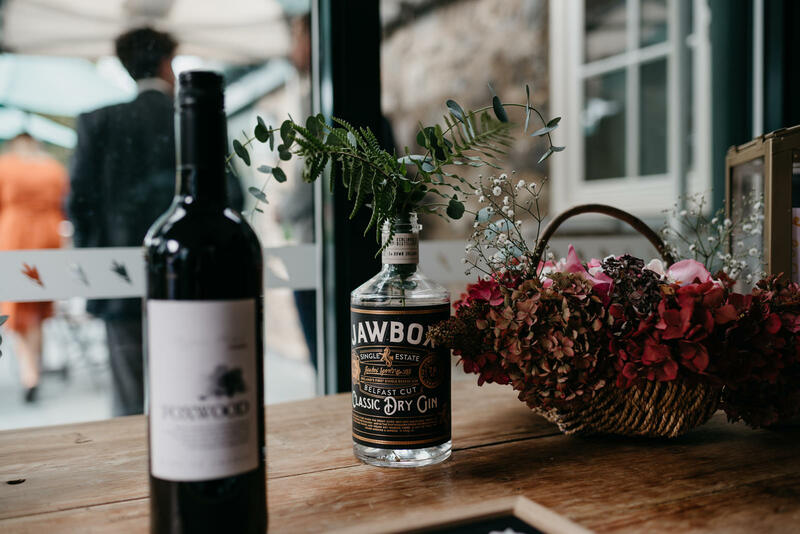 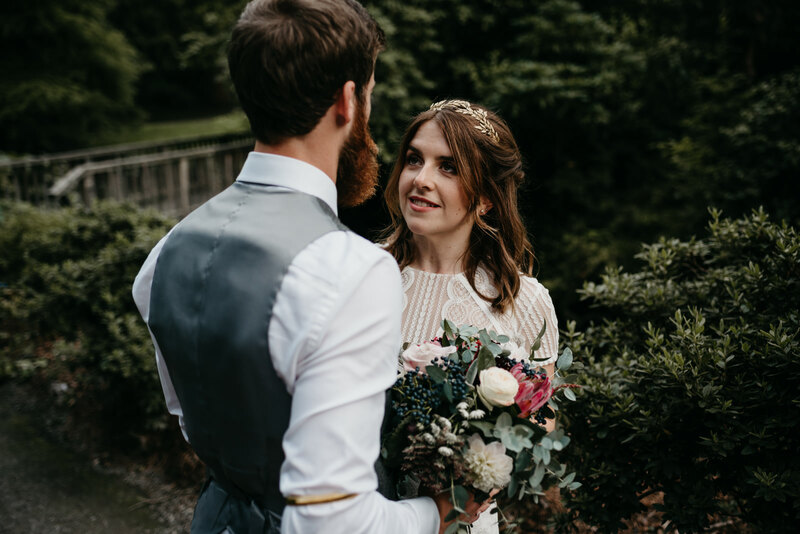 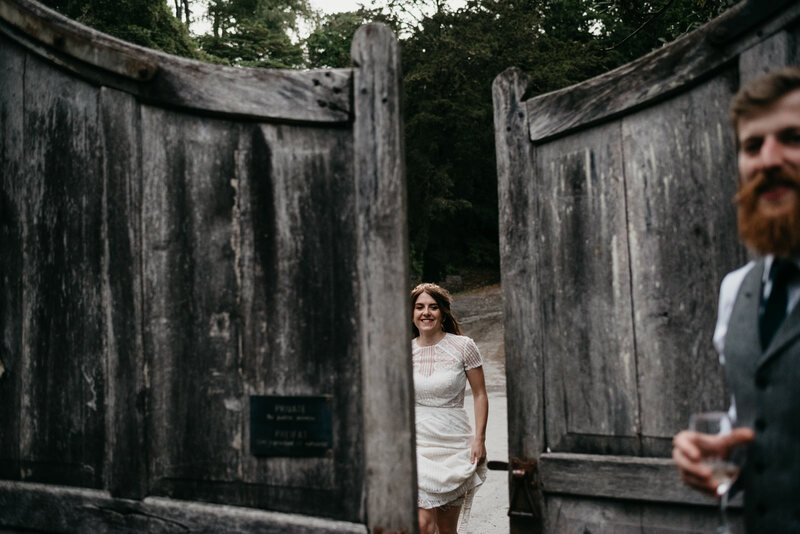 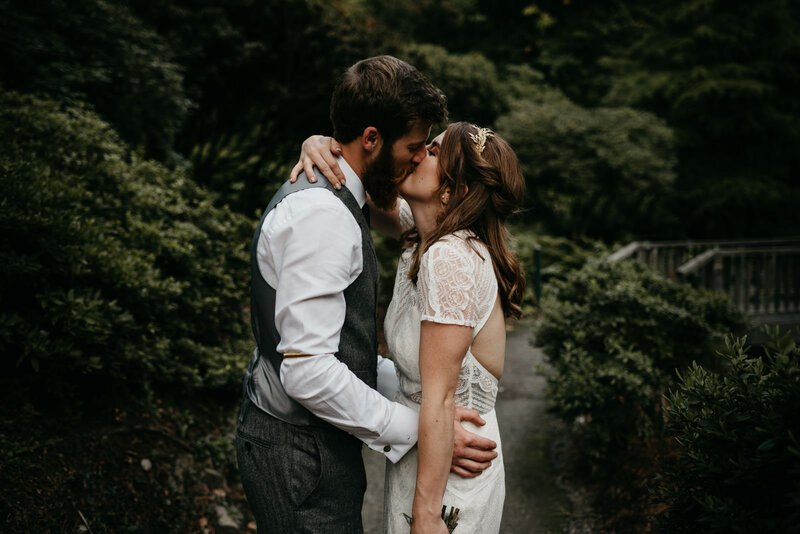 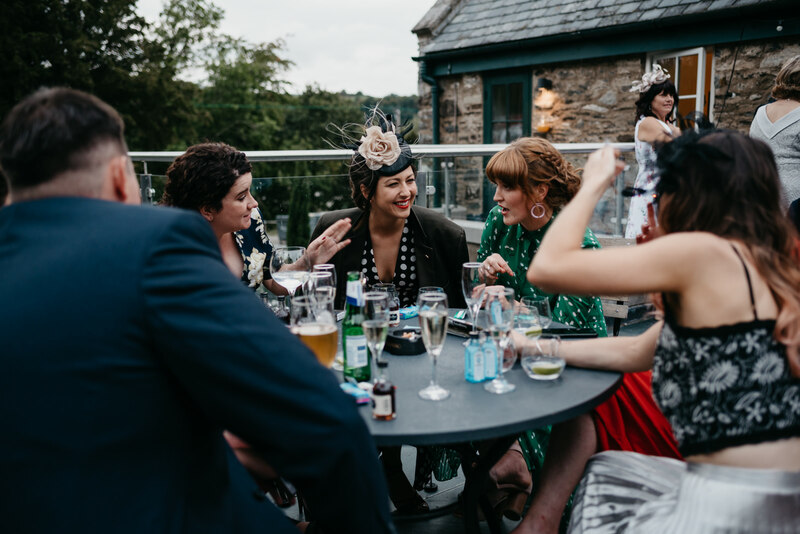 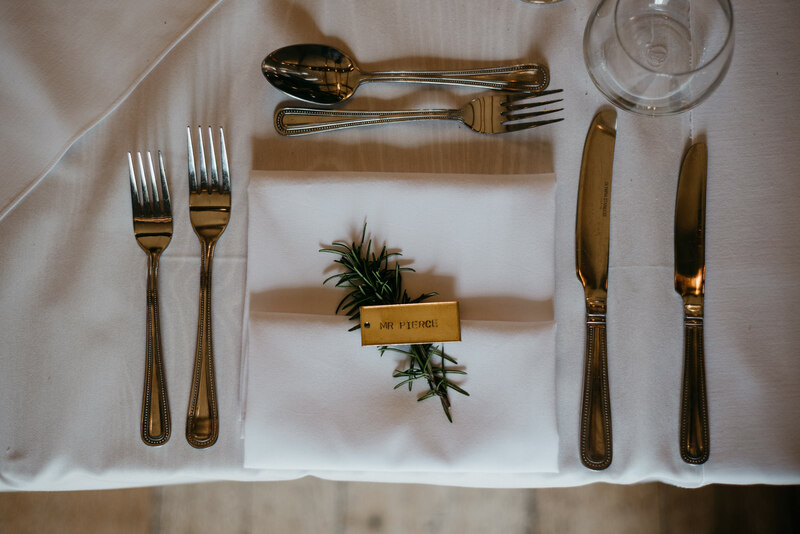 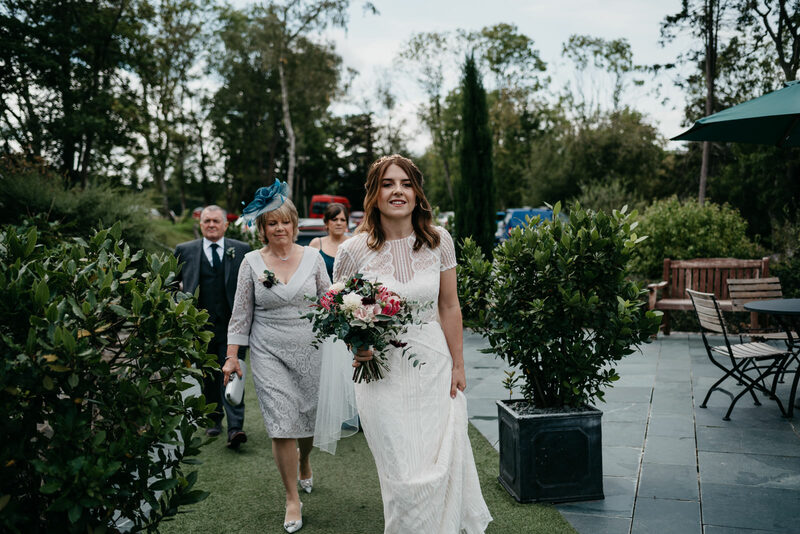 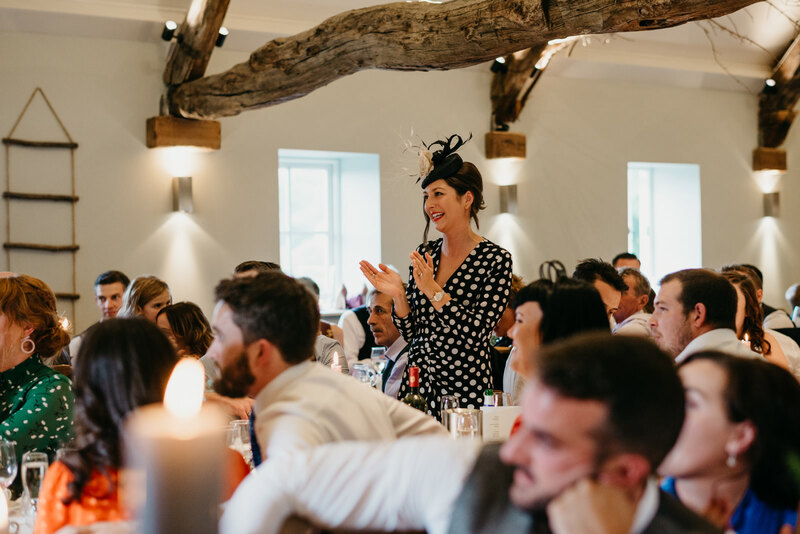 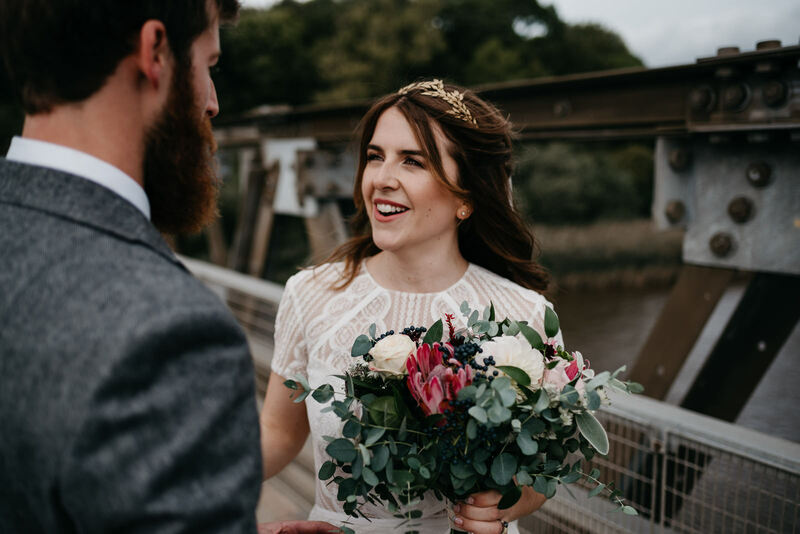 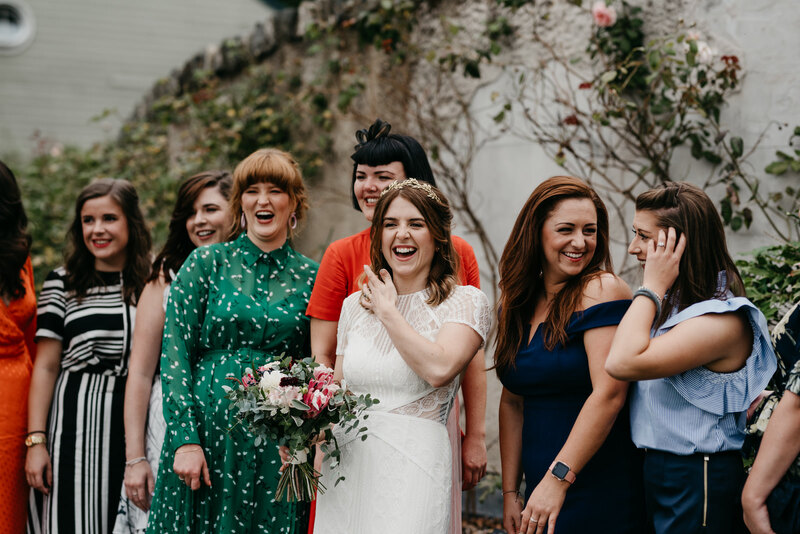 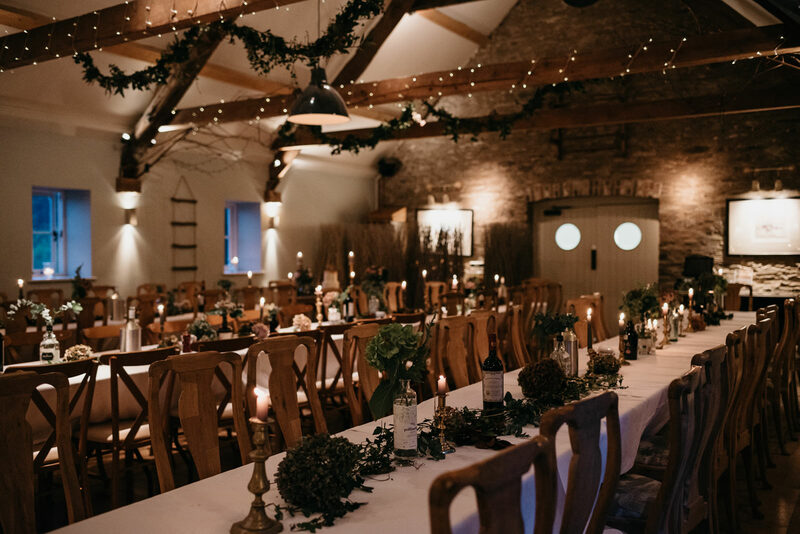 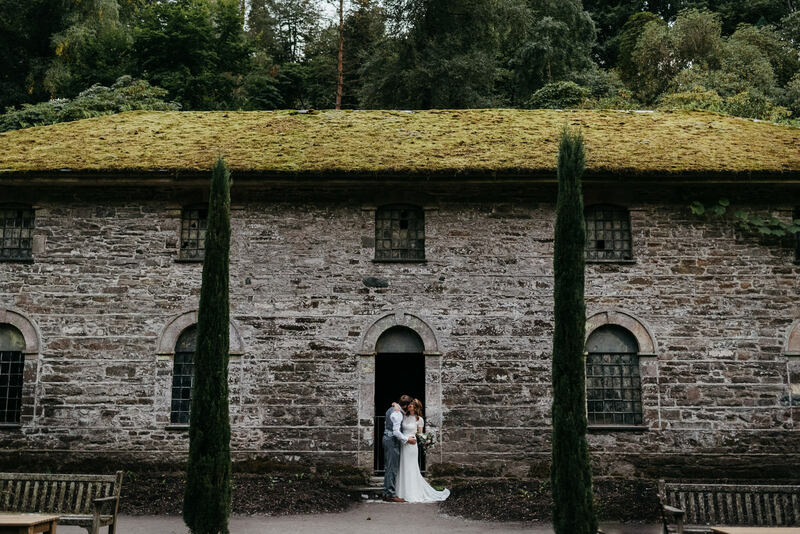 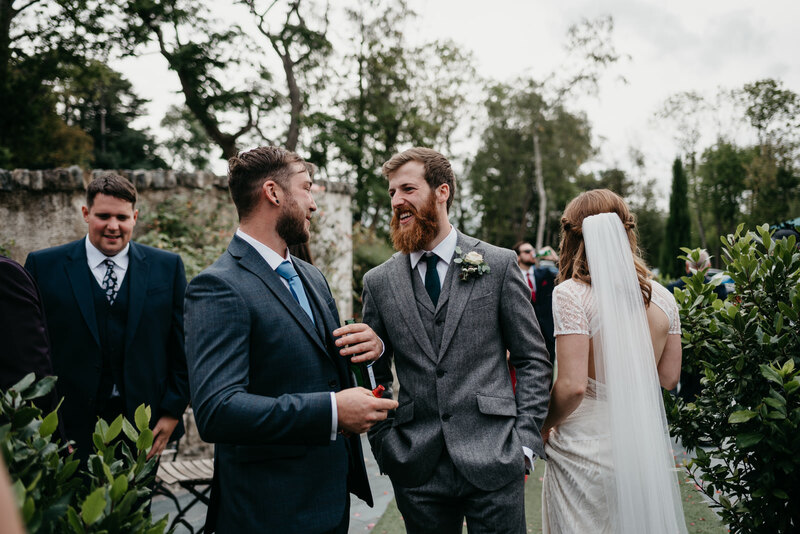 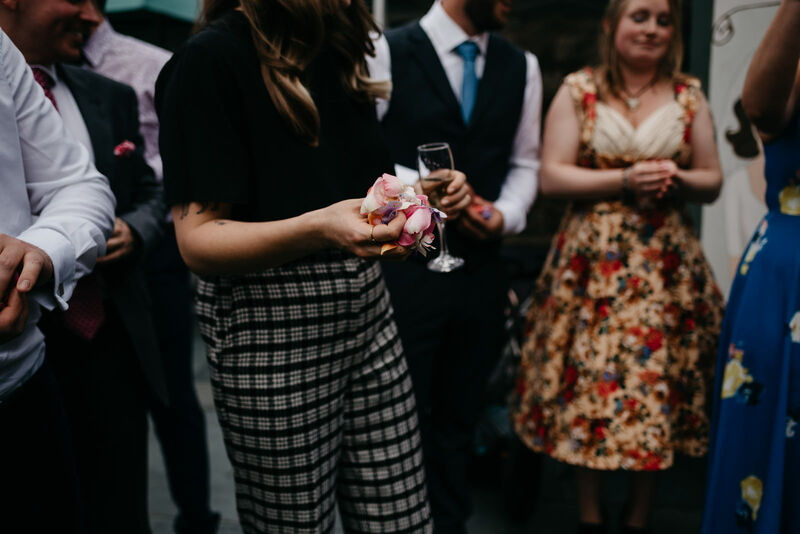 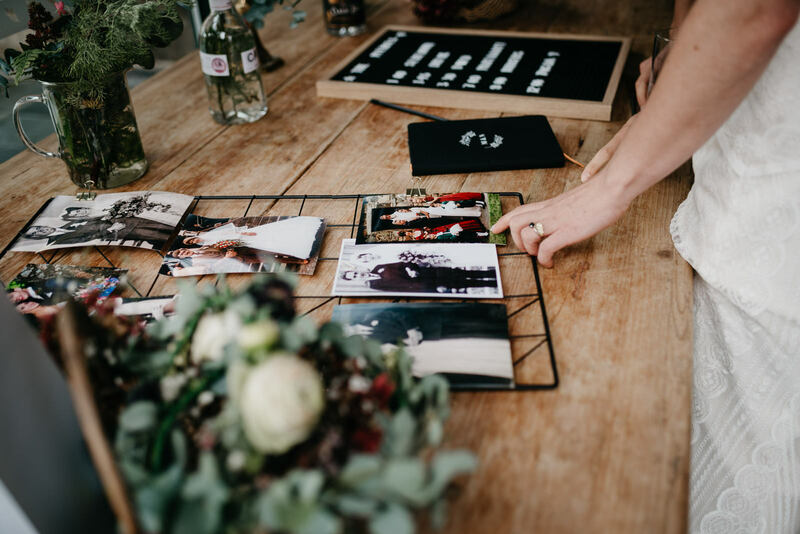 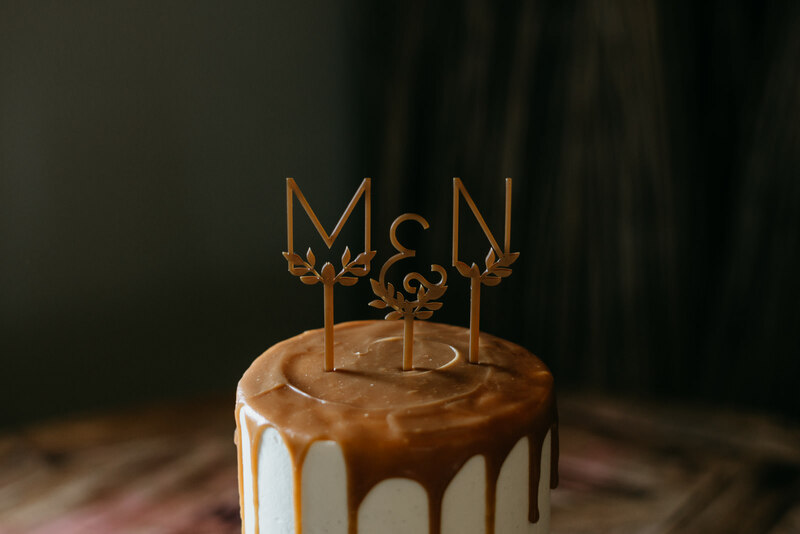 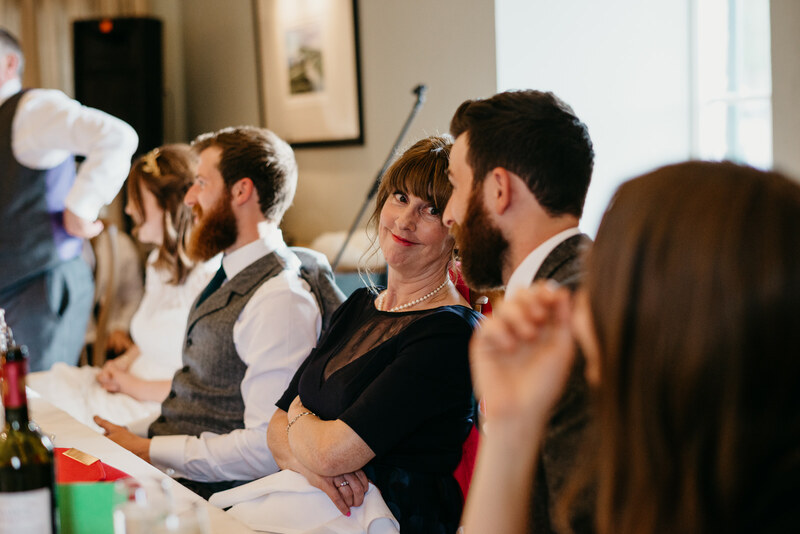 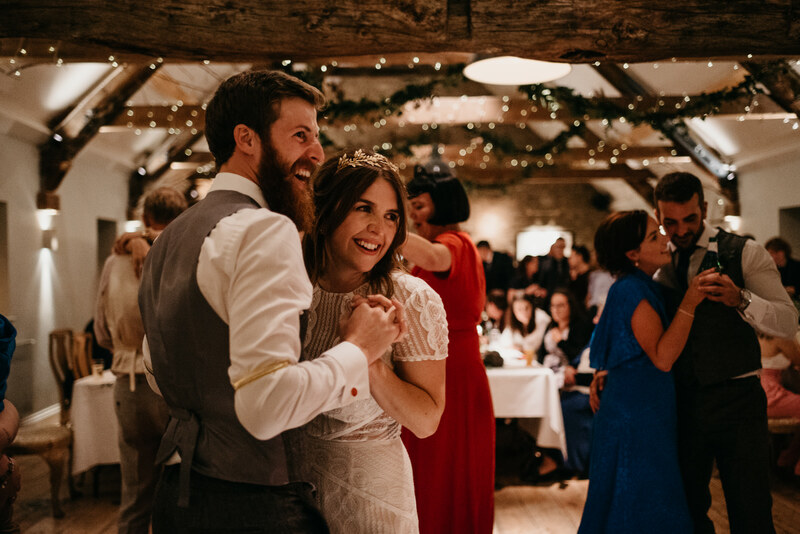 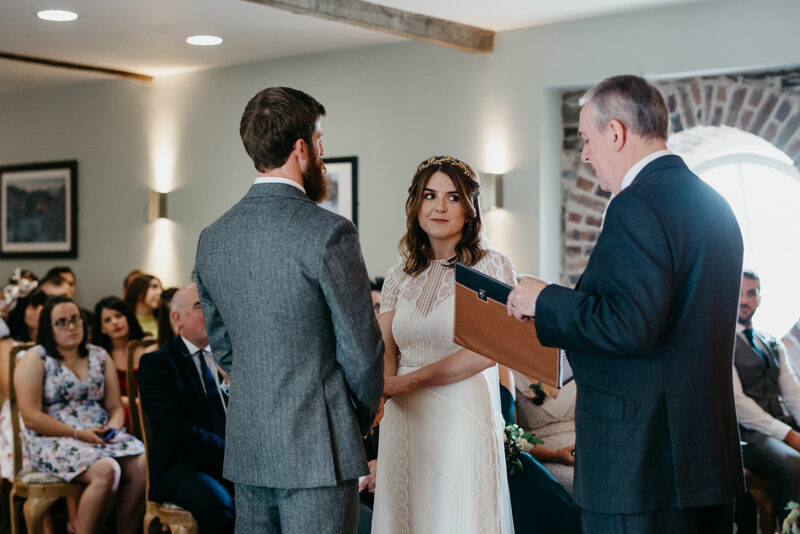 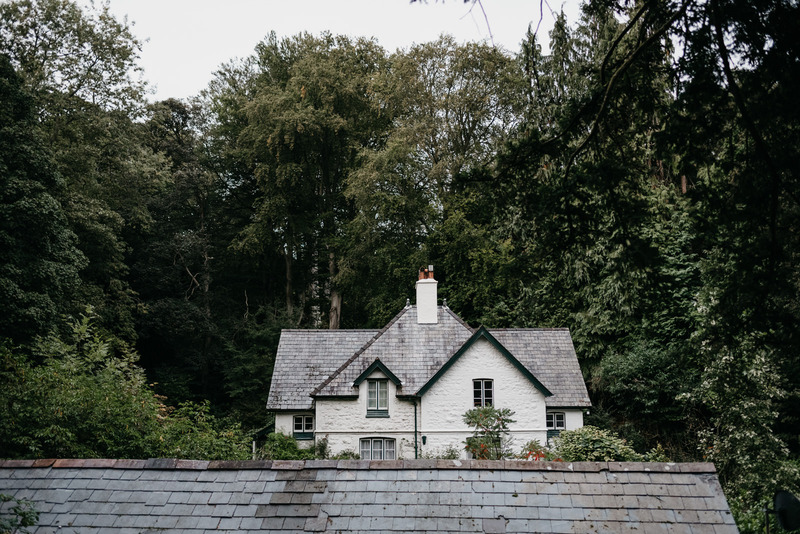 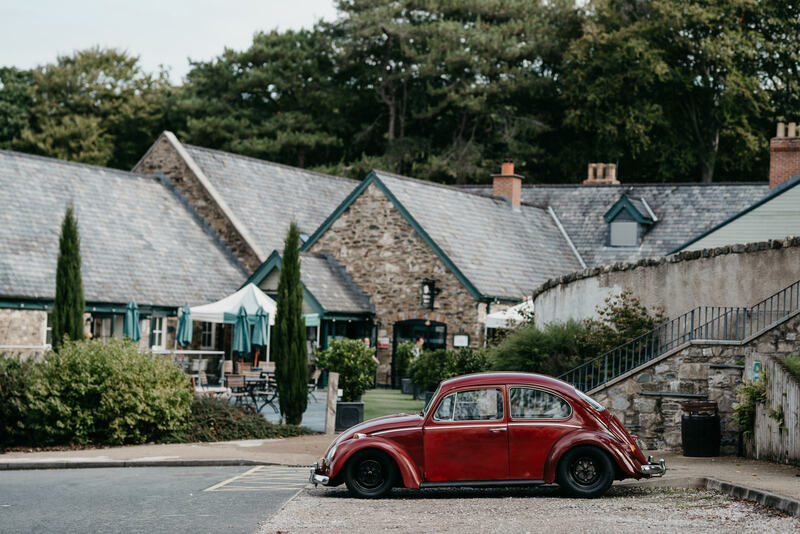 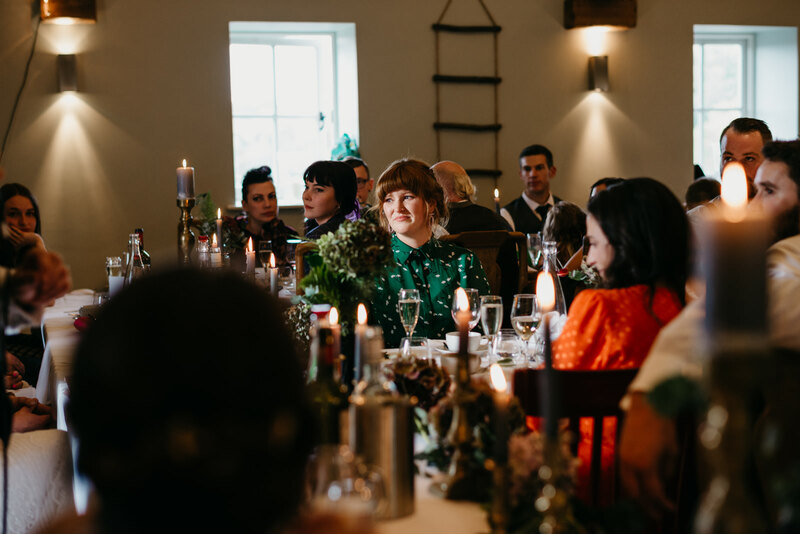 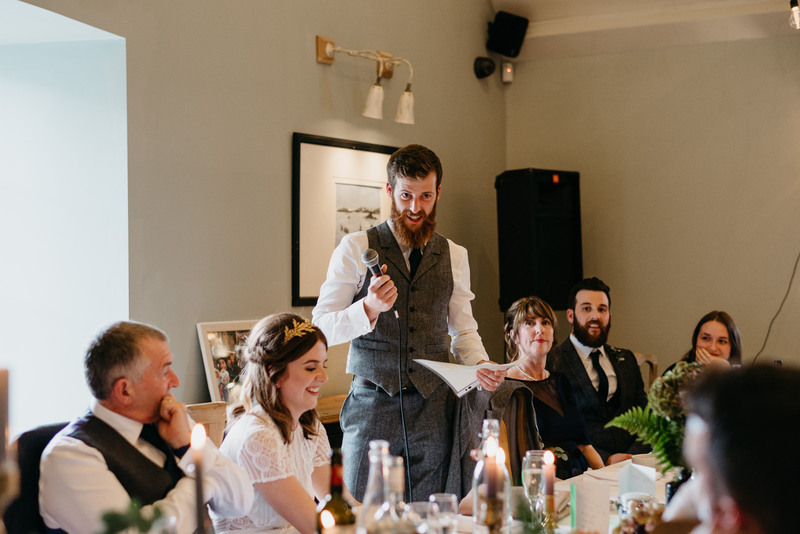 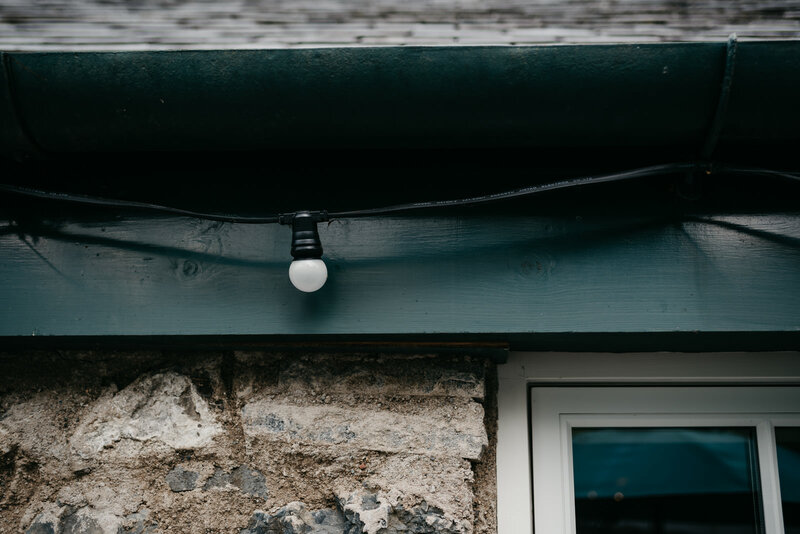 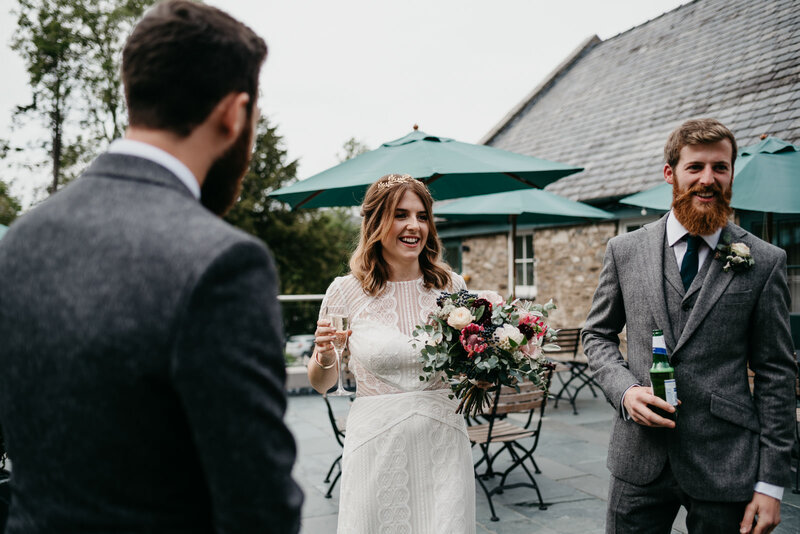 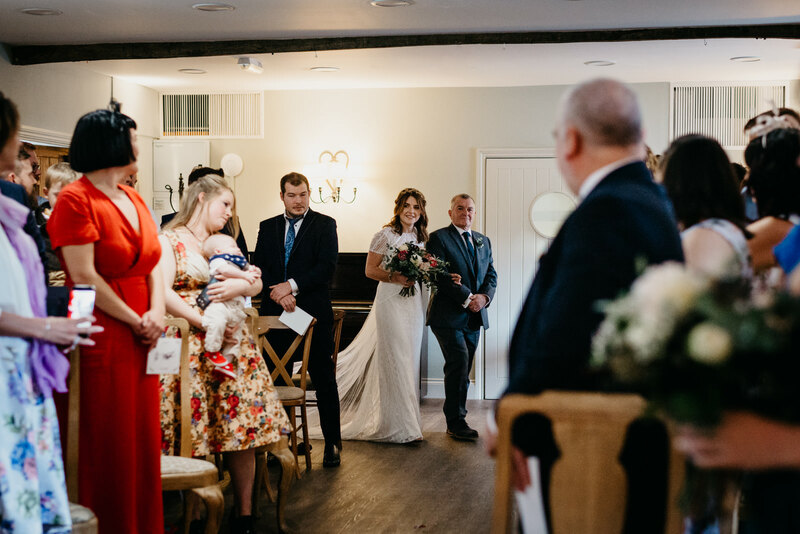 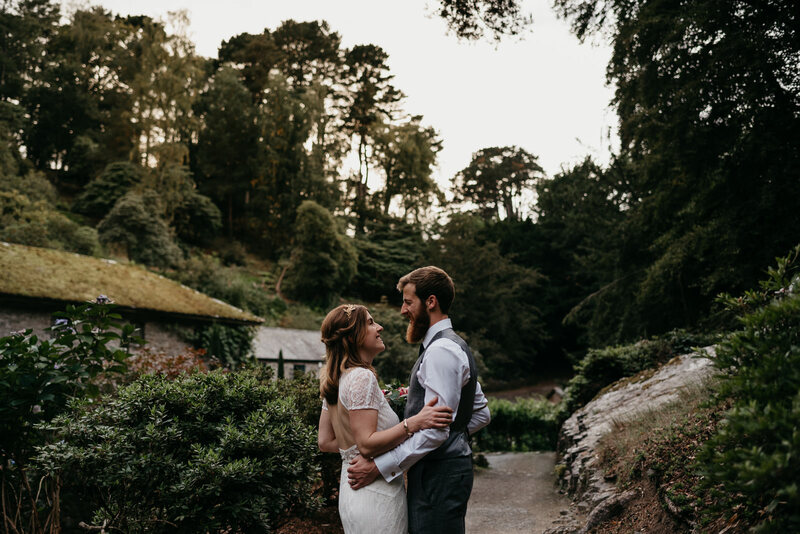 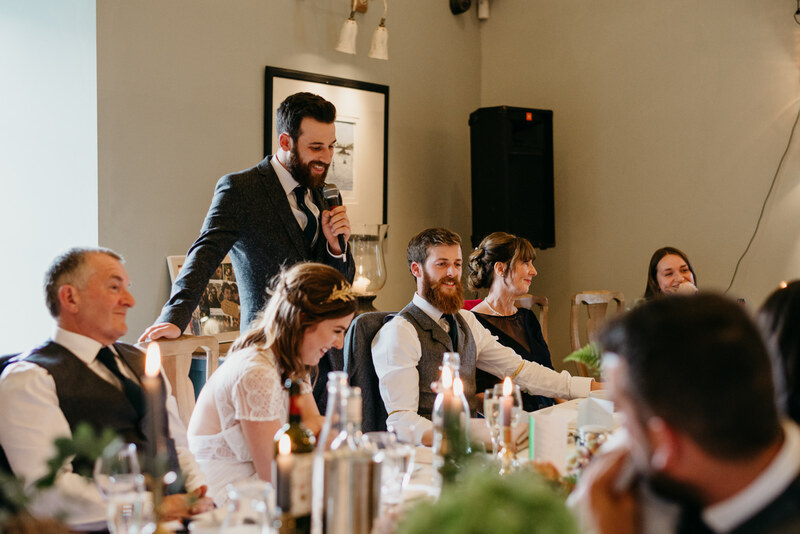 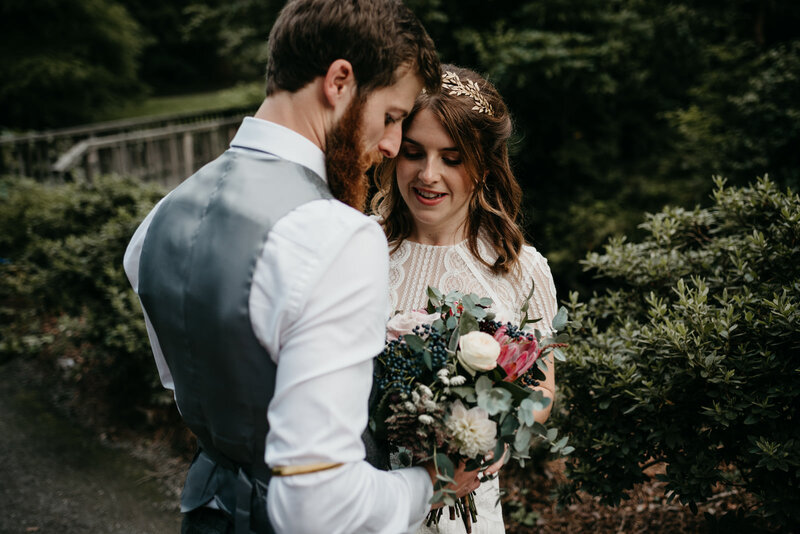 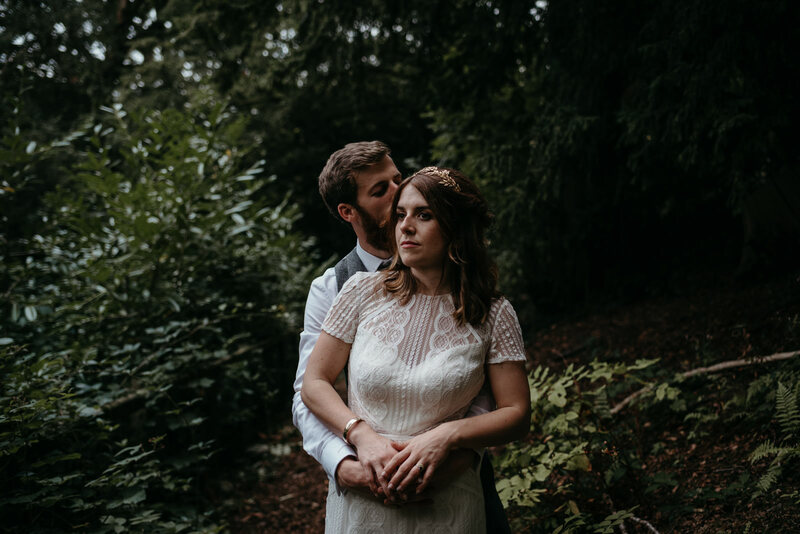 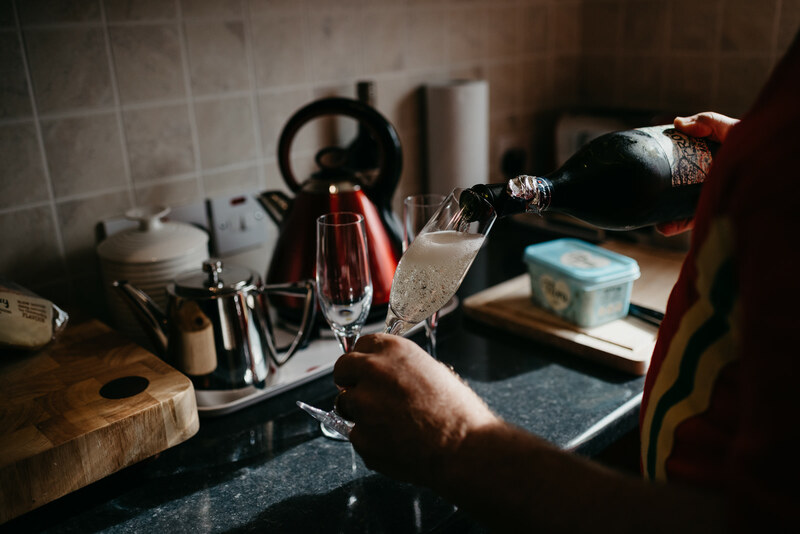 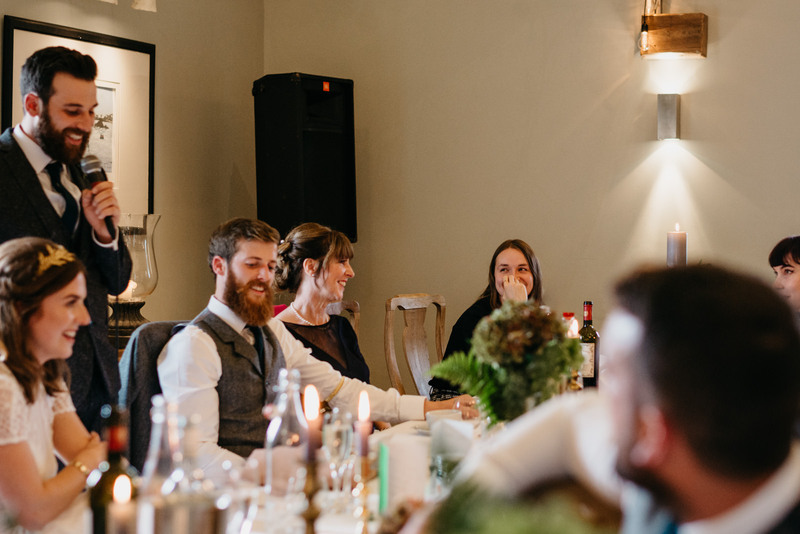 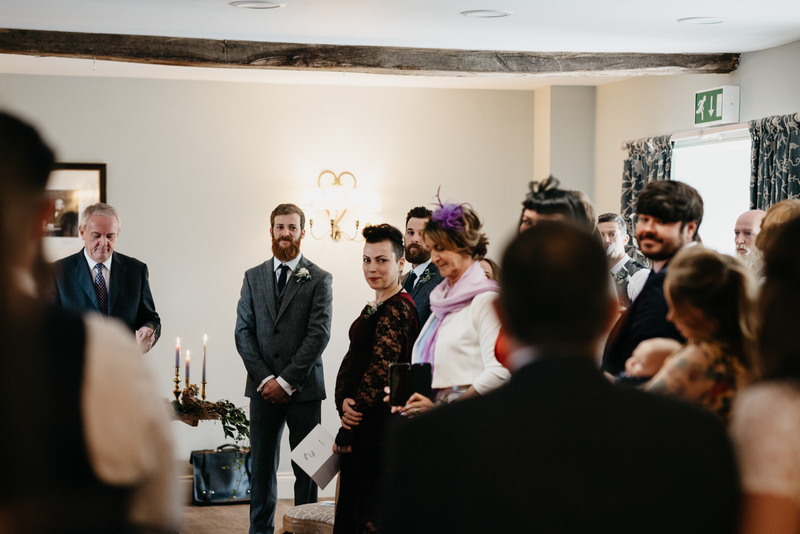 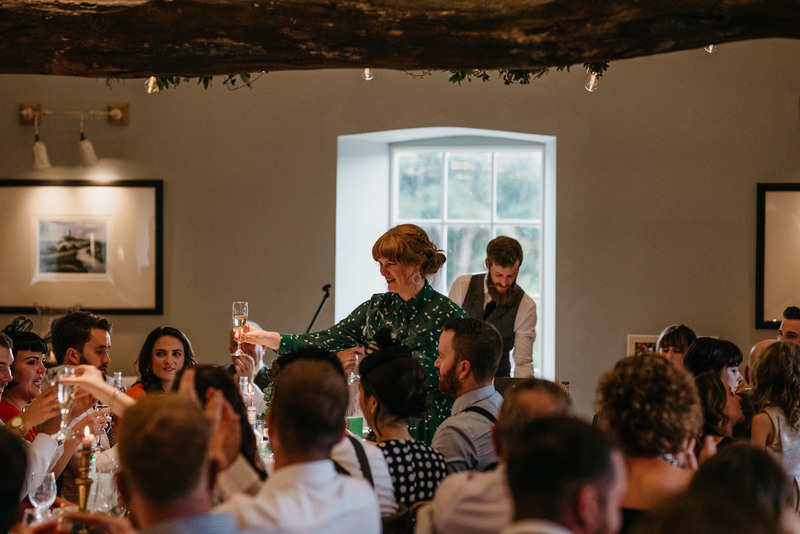 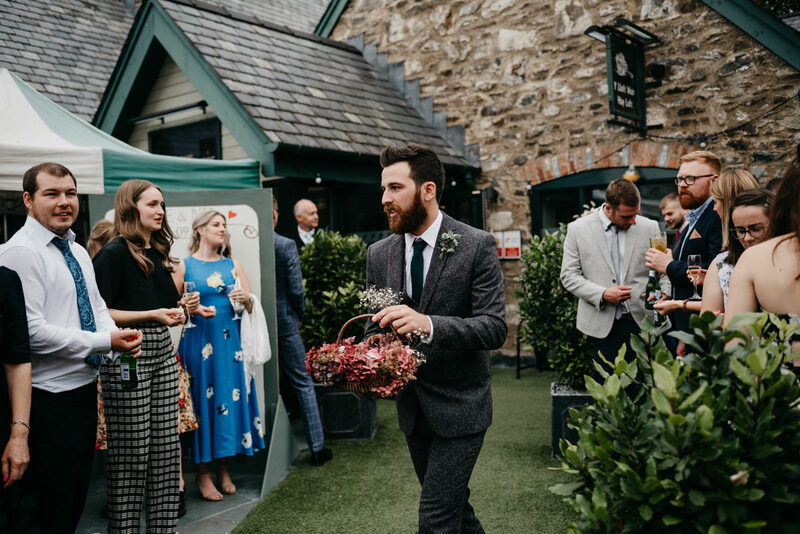 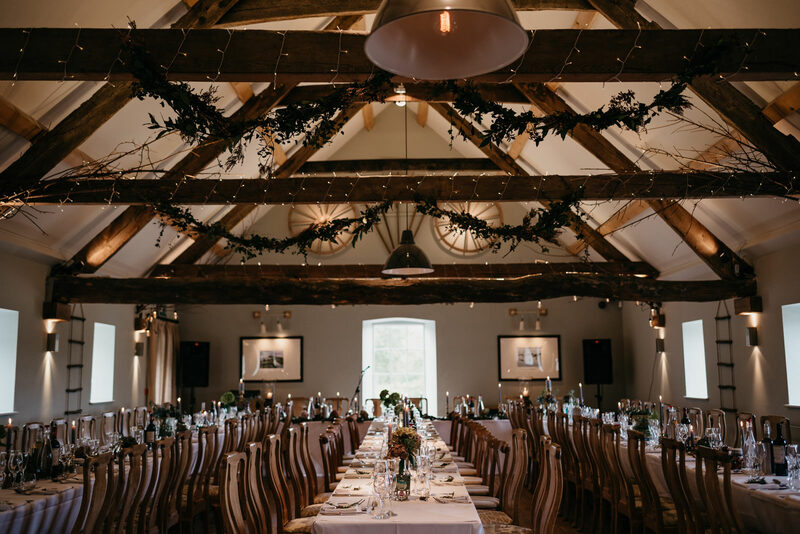 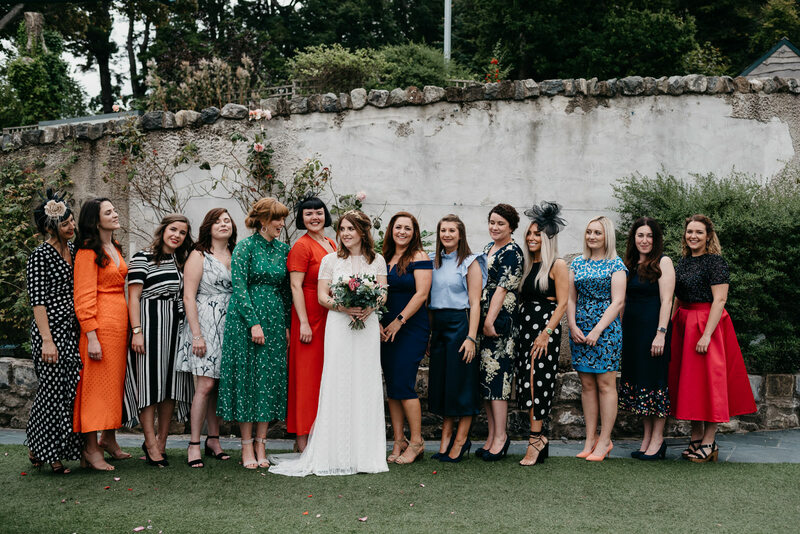 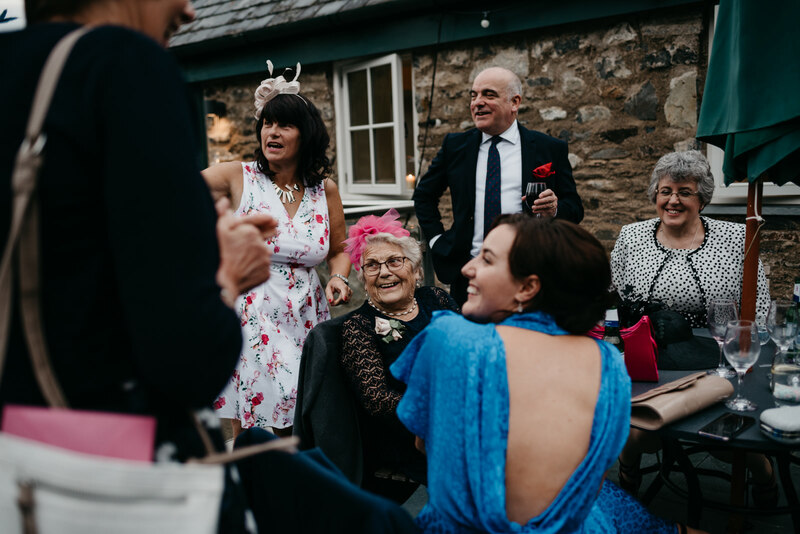 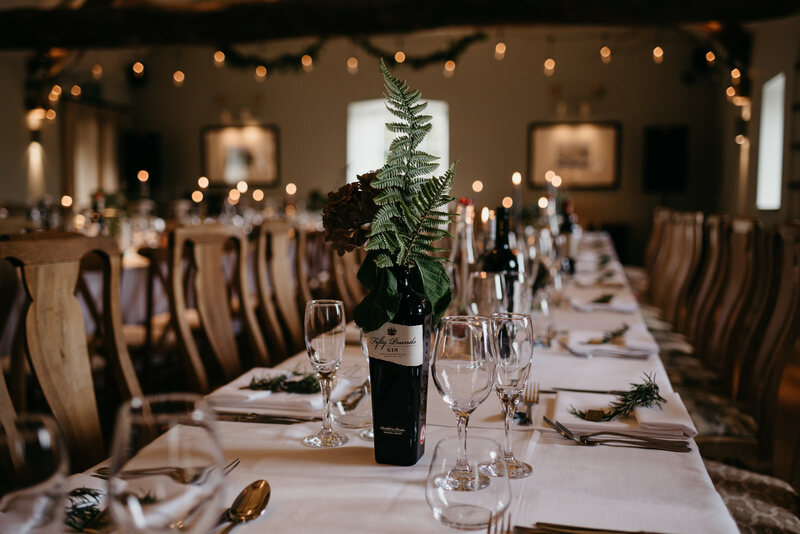 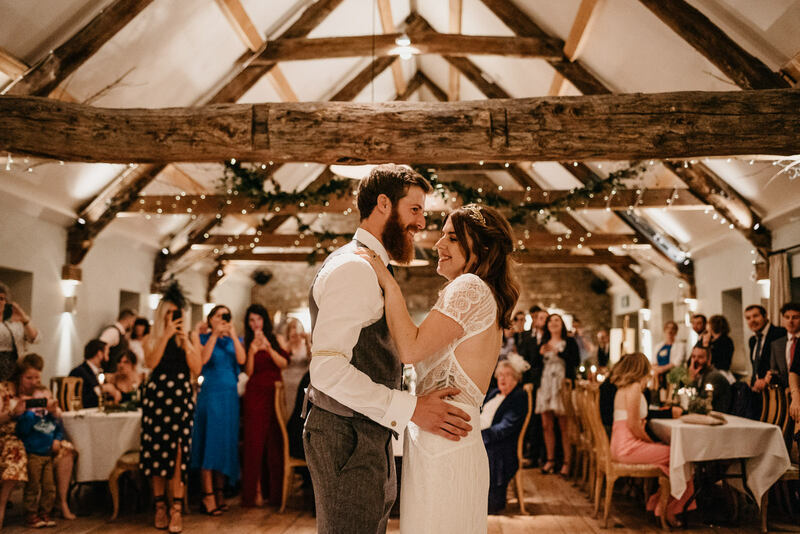 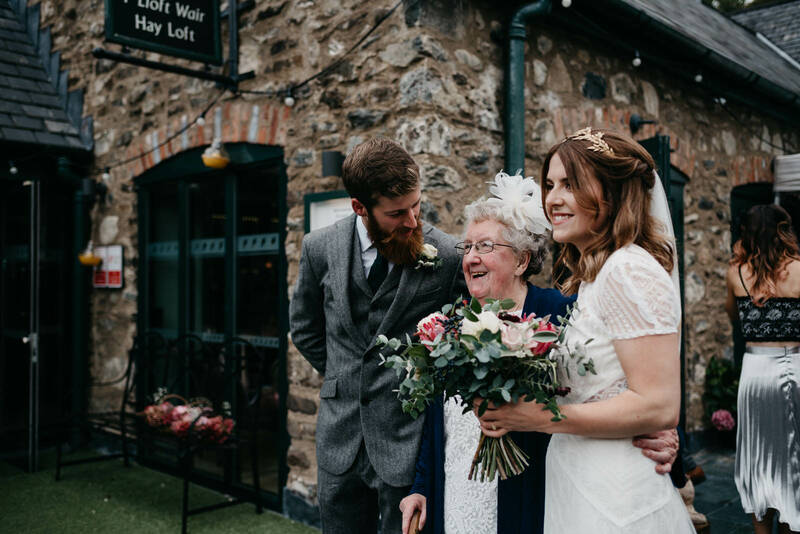 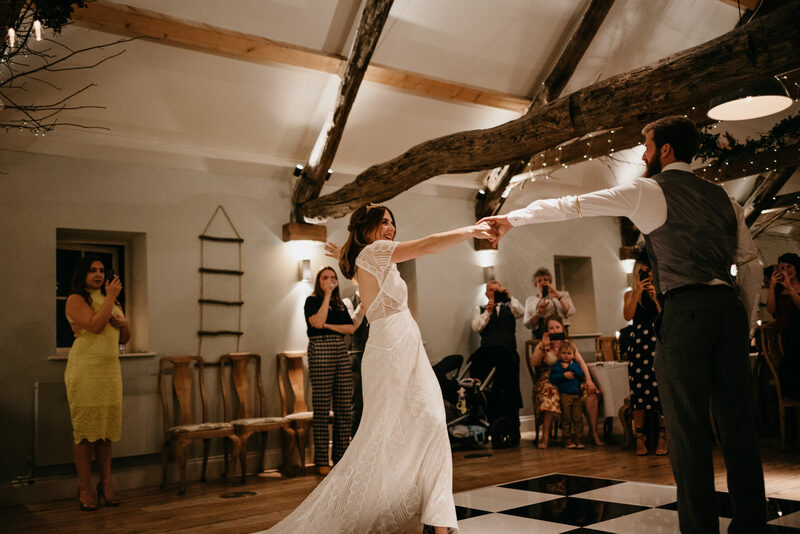 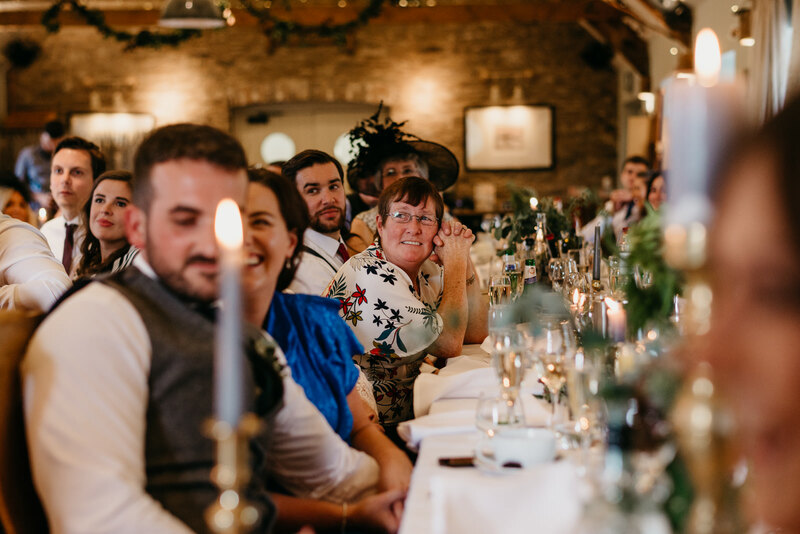 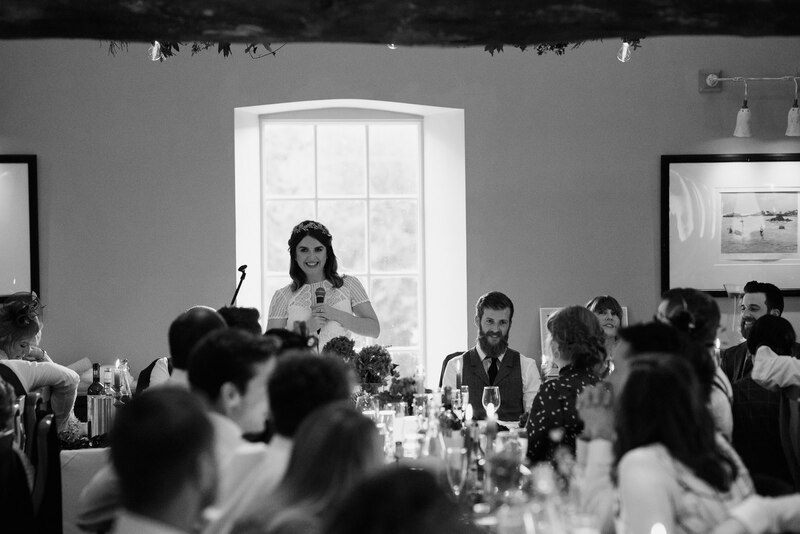 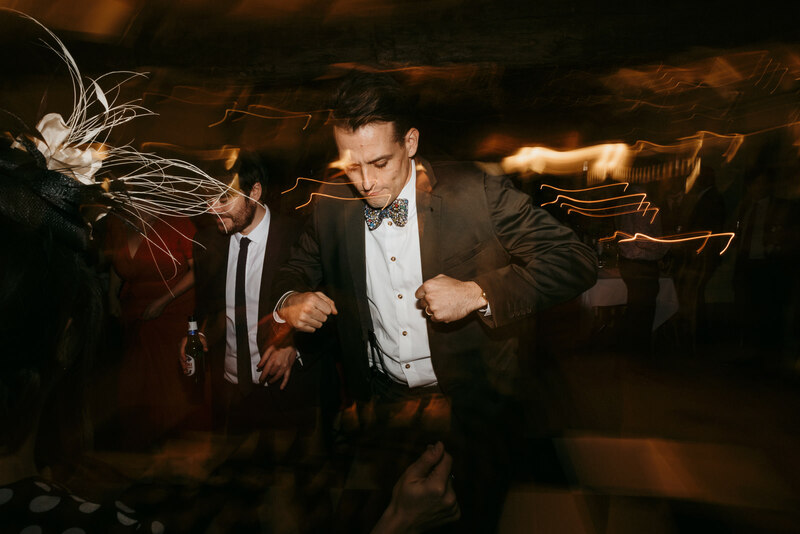 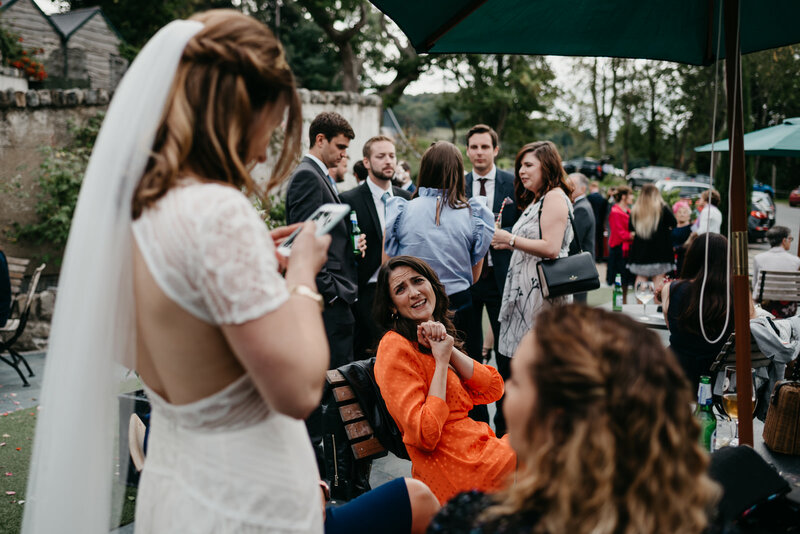 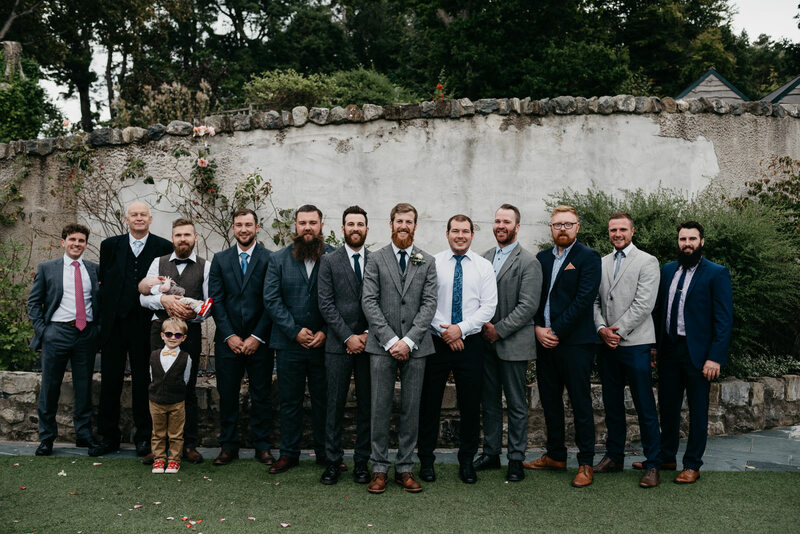 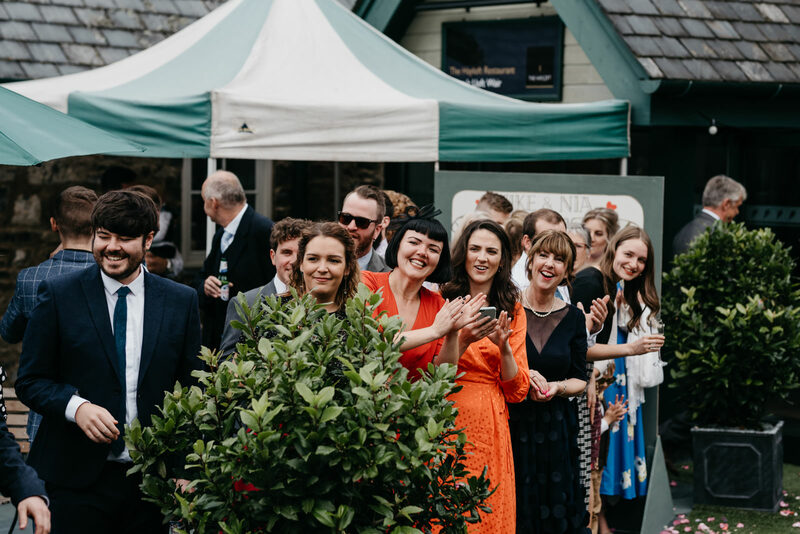 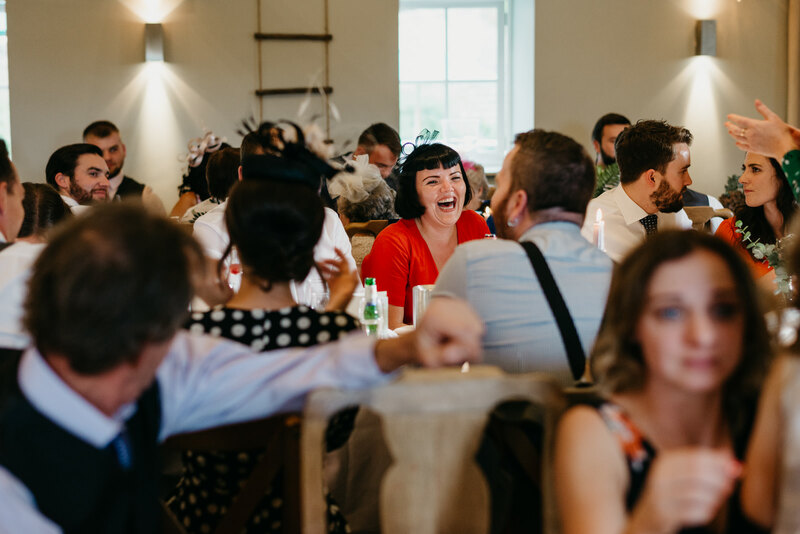 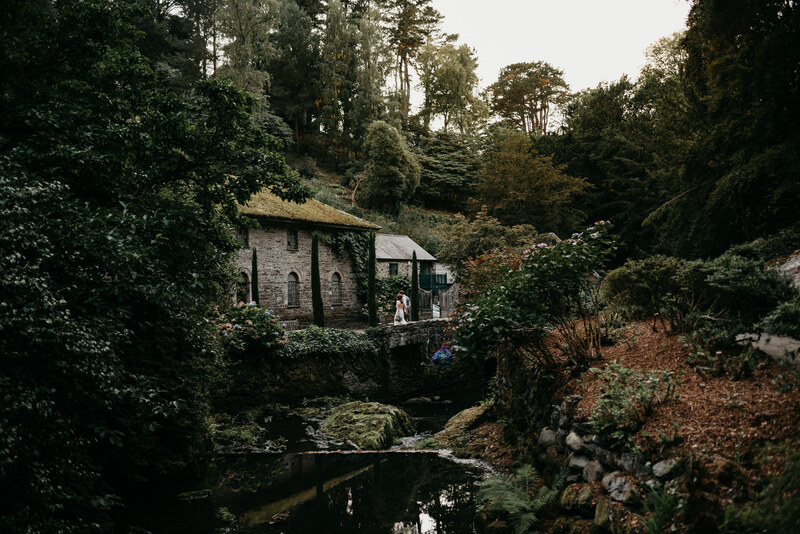 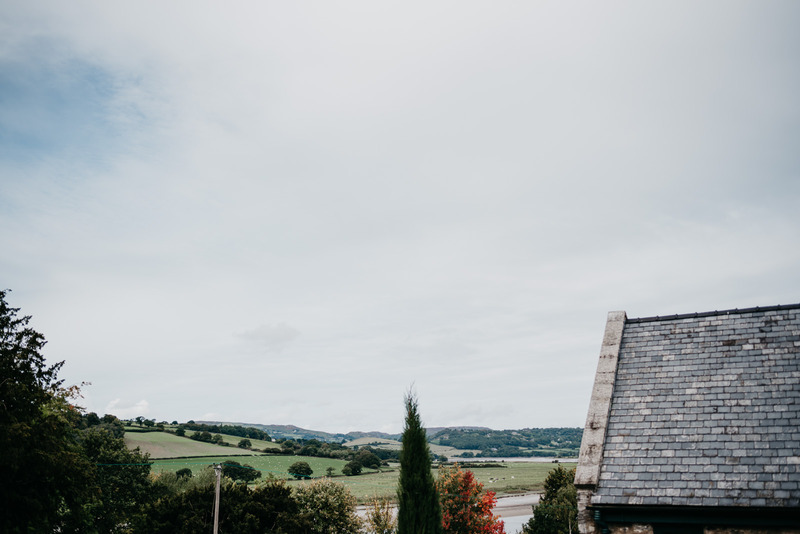 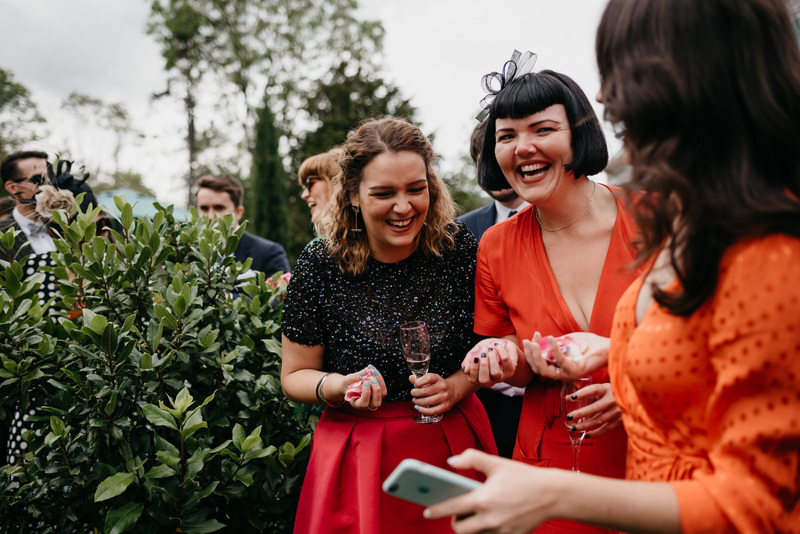 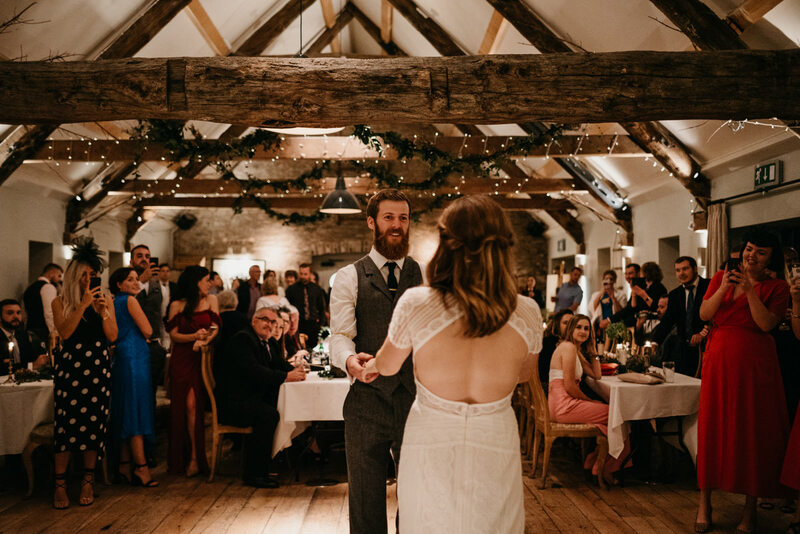 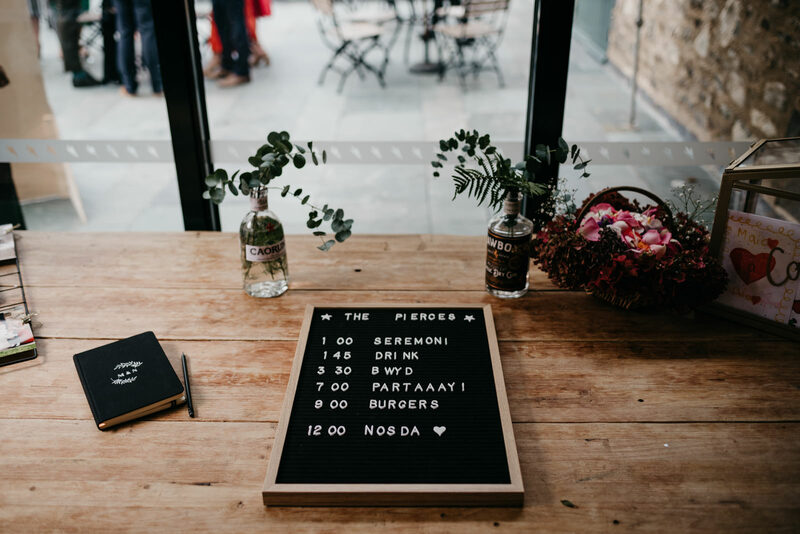 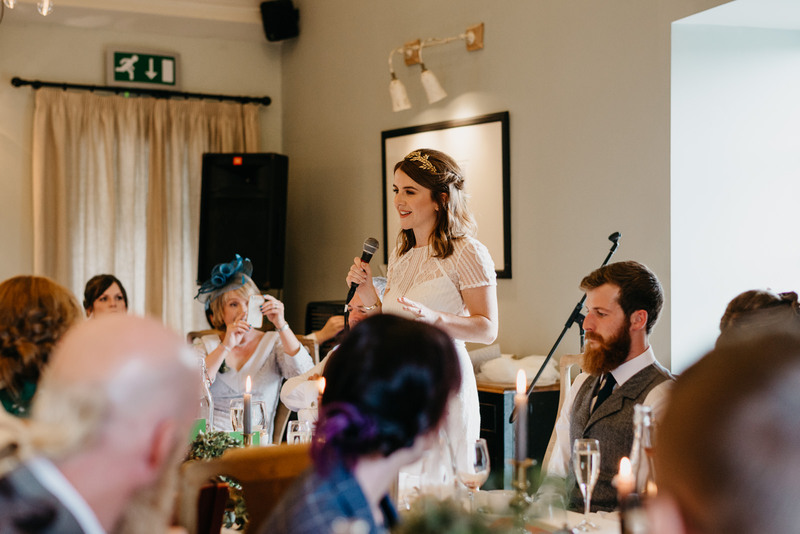 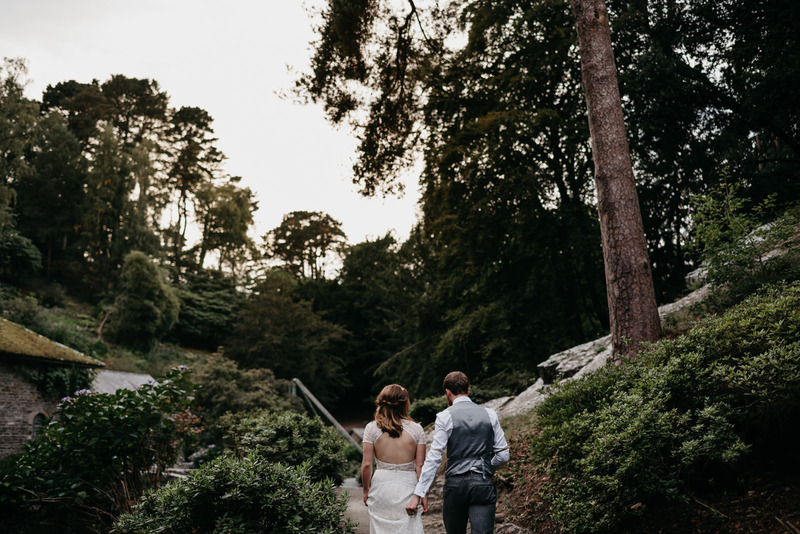 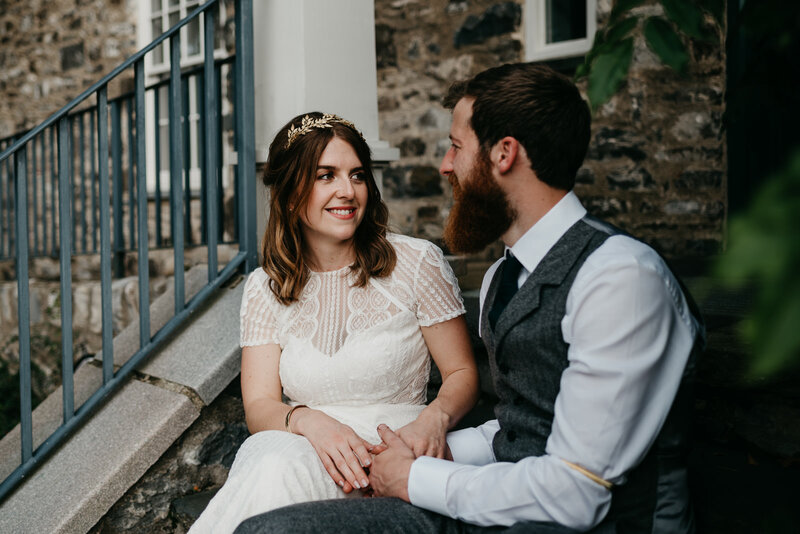 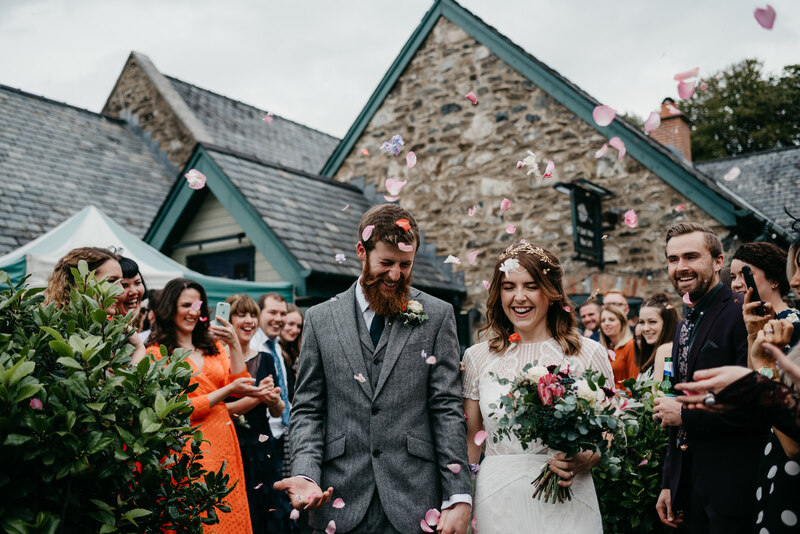 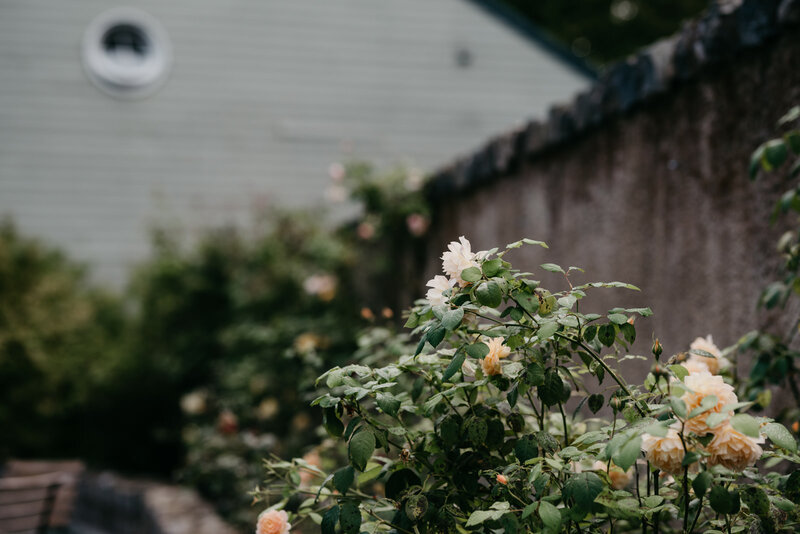 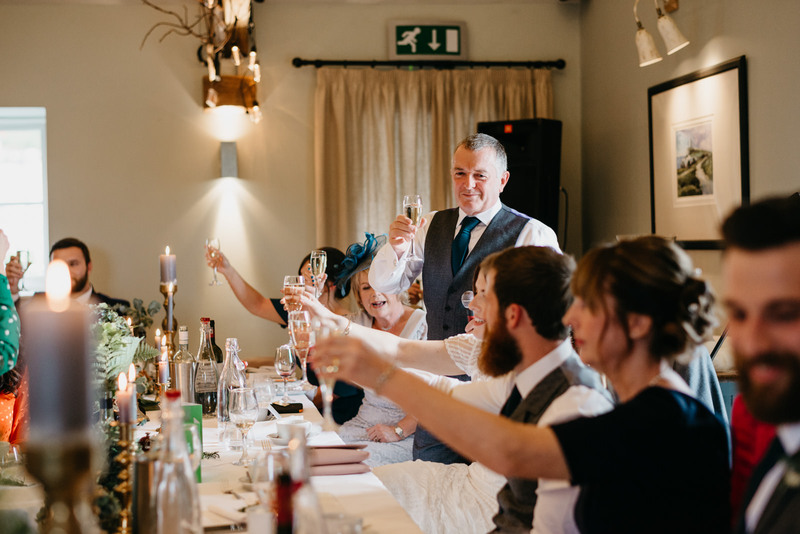 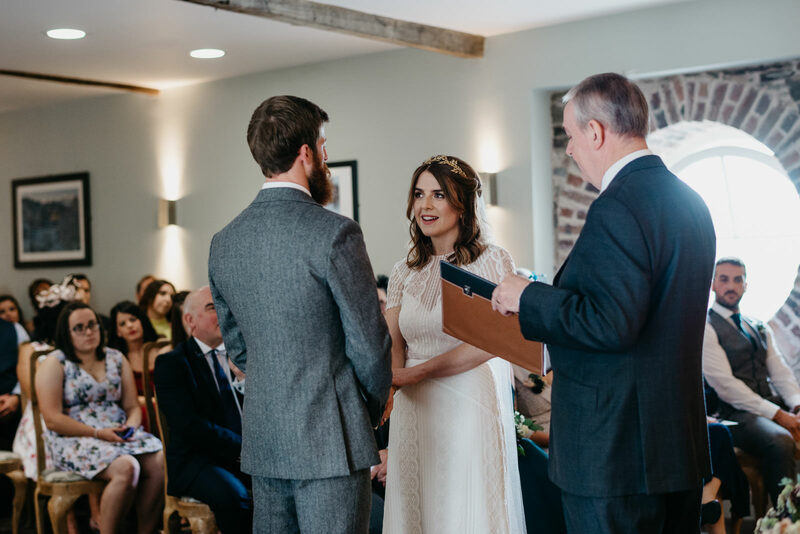 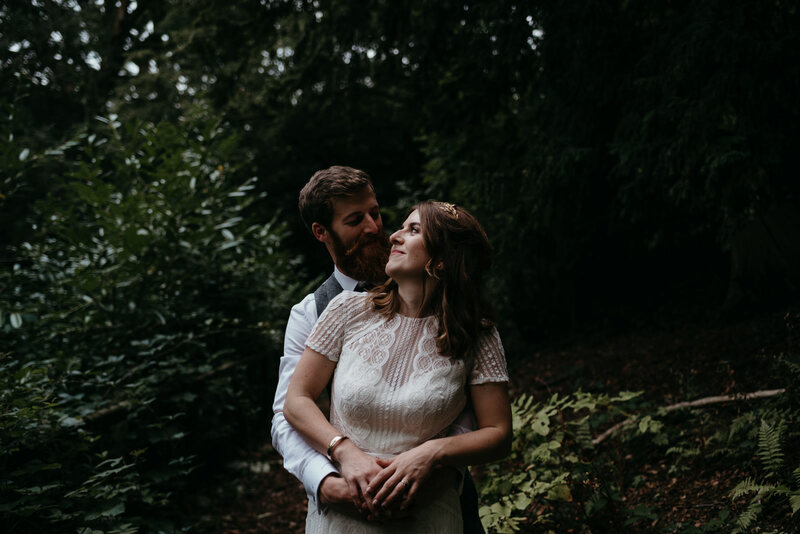 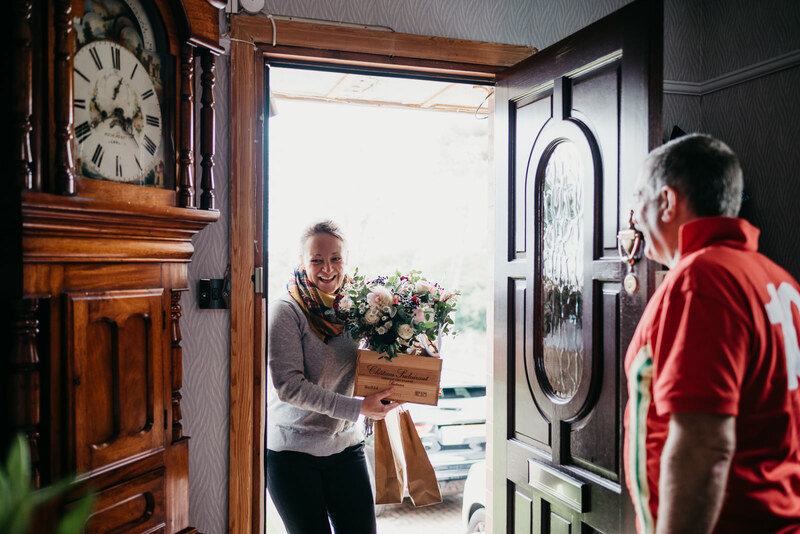 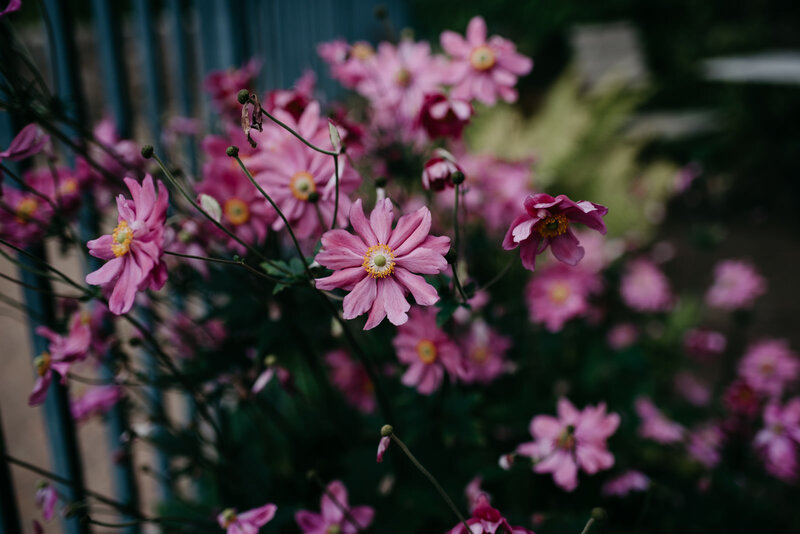 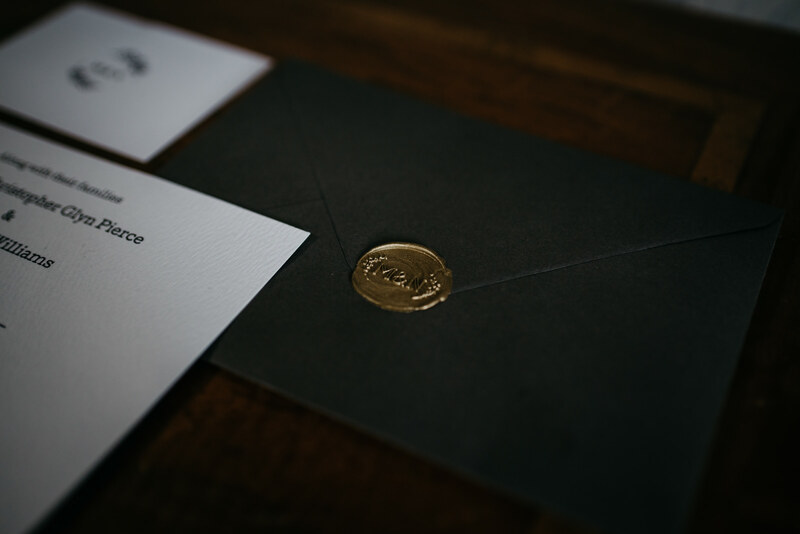 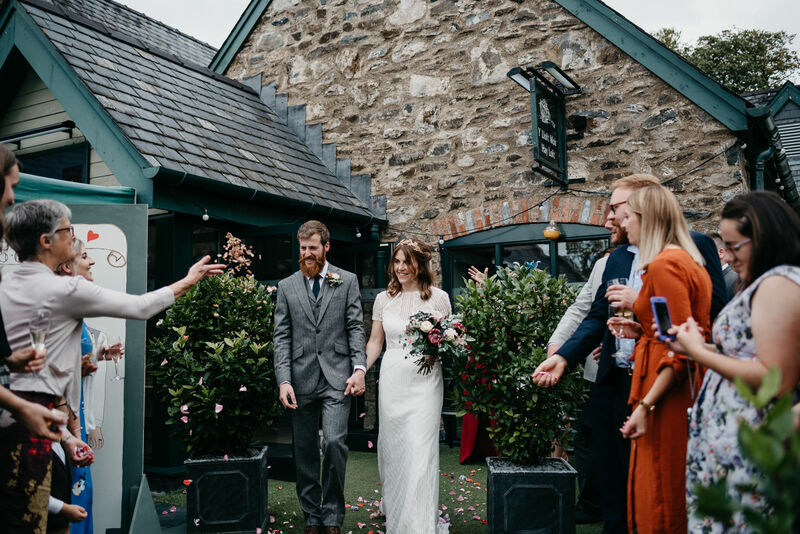 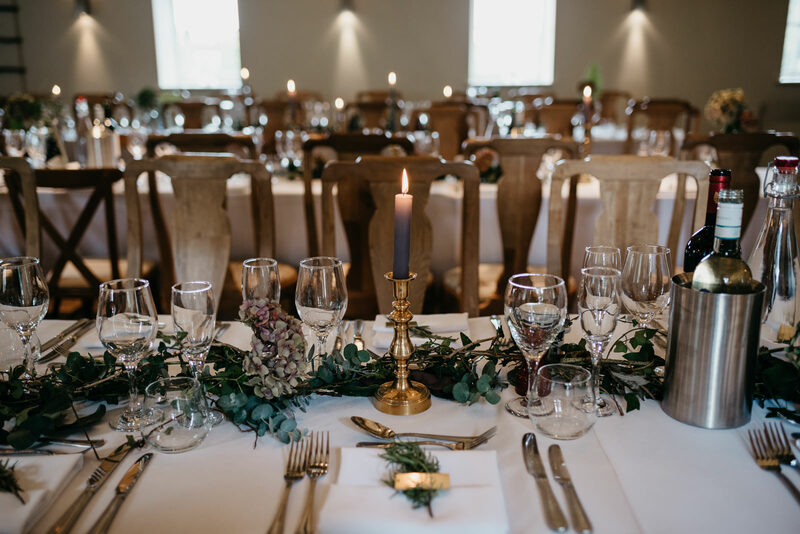 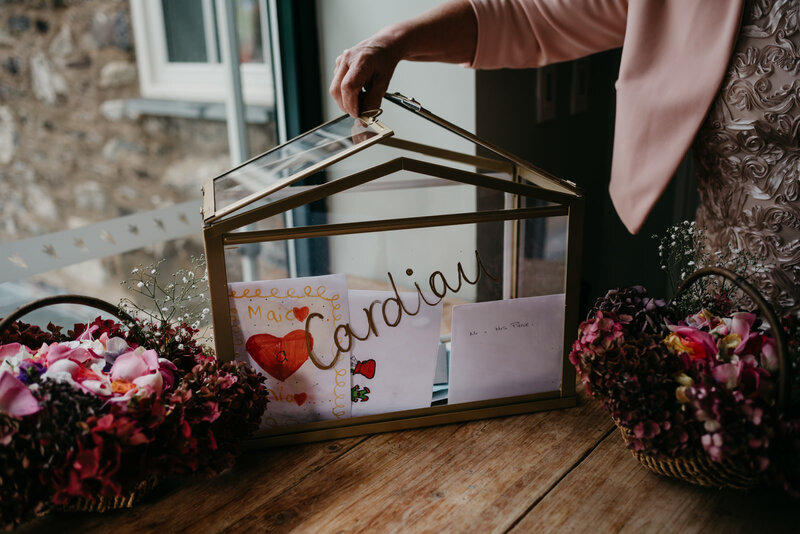 Bodnant Food Centre is a beautiful North Wales wedding venue located on the edge of the National Trust’s Bodnant Gardens near Colwyn Bay with beautiful views out over the Conwy Valley towards the Carneddau mountains. 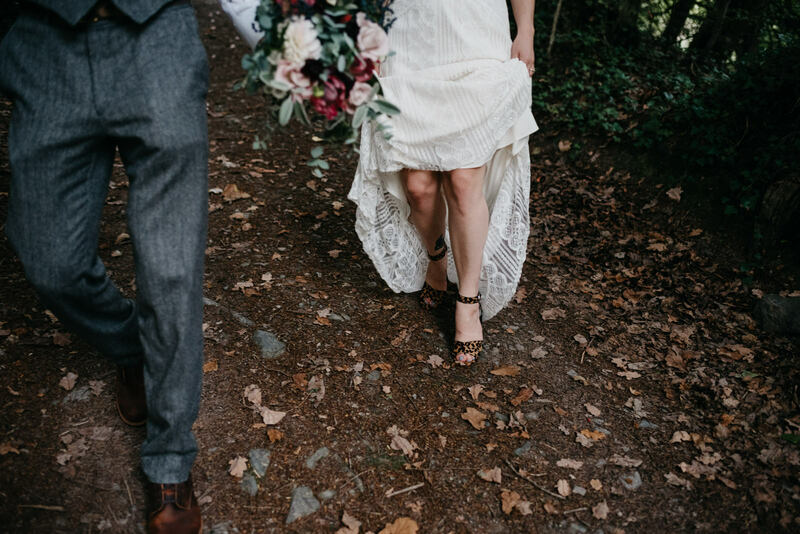 Nia looked amazing in her Twoo Watters Lenora dress, and strappy Miss Selfridge Sandals. 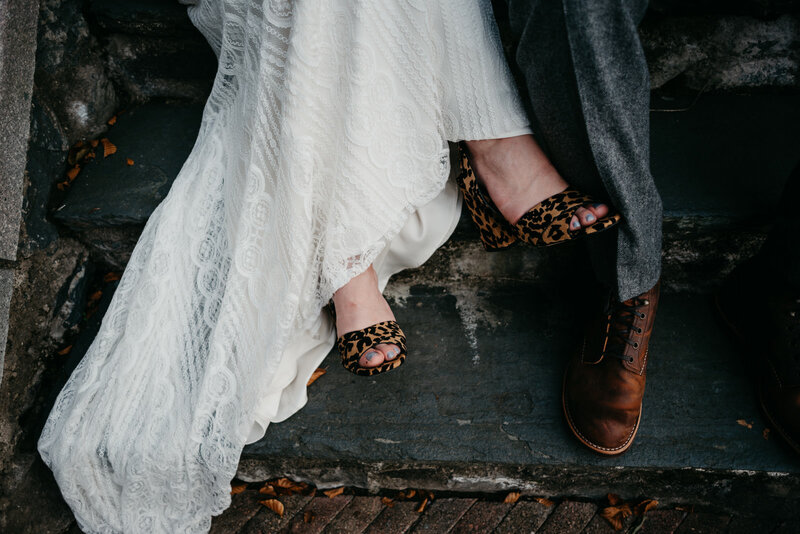 That said, I have a soft spot for her evening shoes; strapped leopard print sandals with a block heel from Topshop. 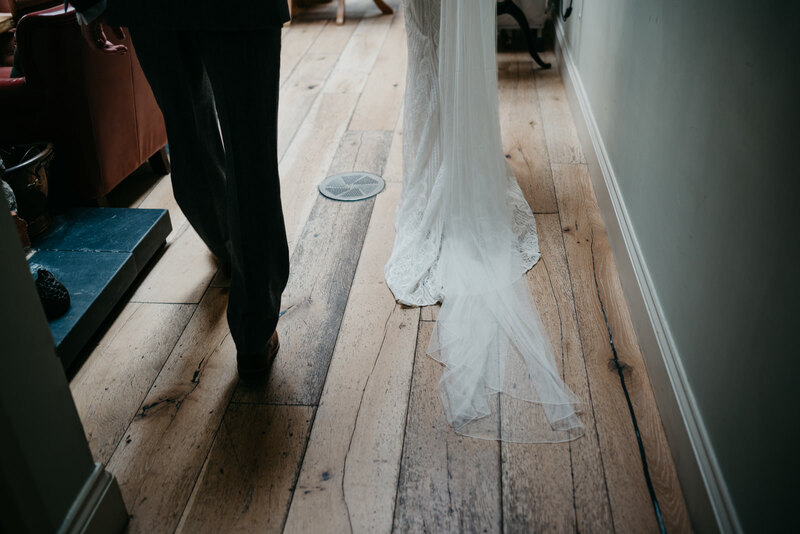 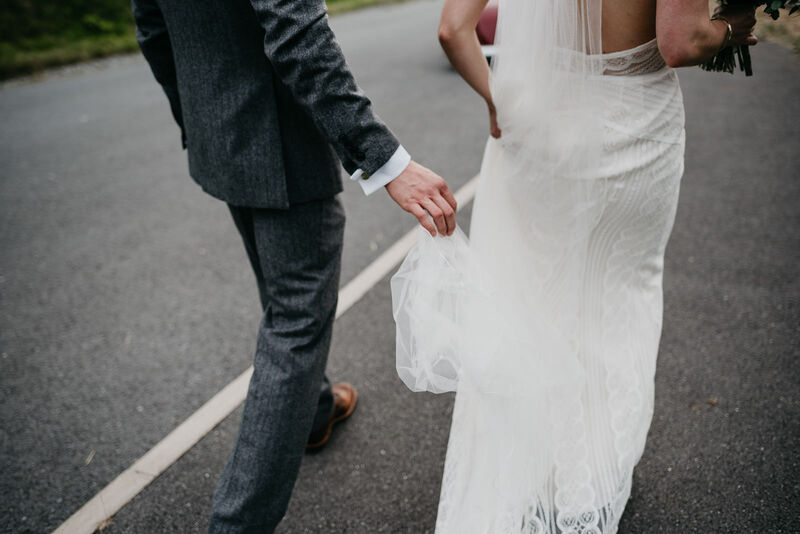 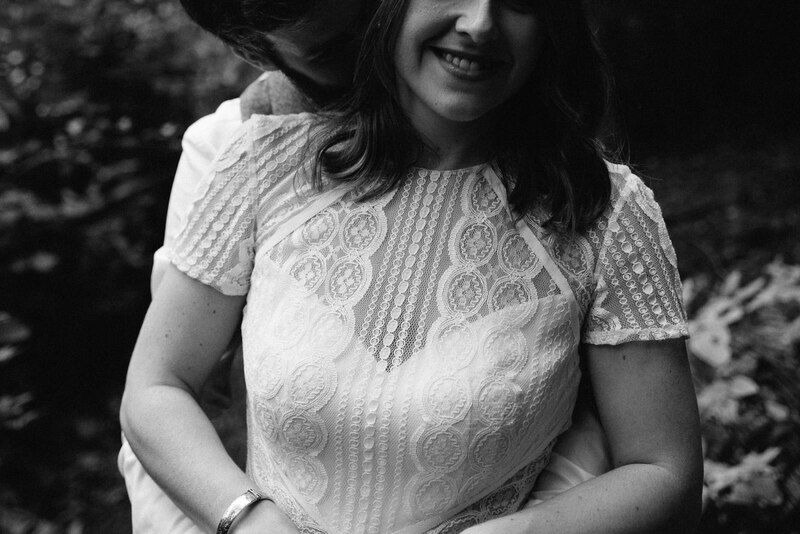 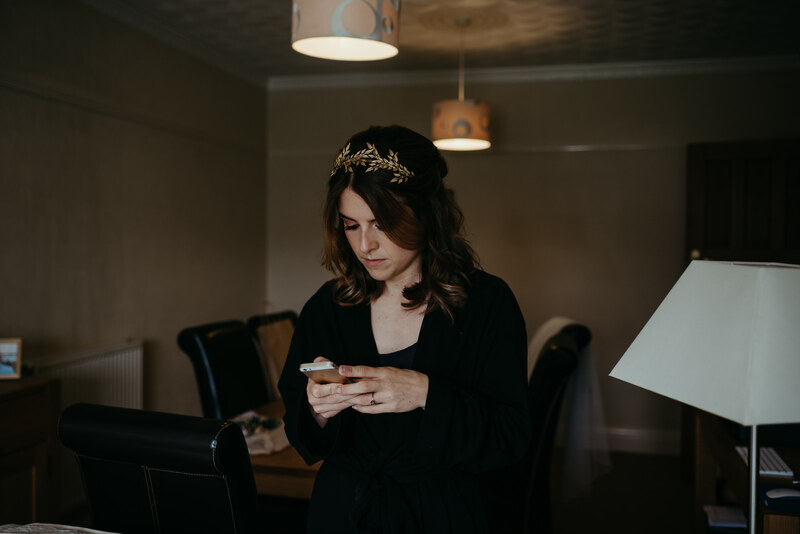 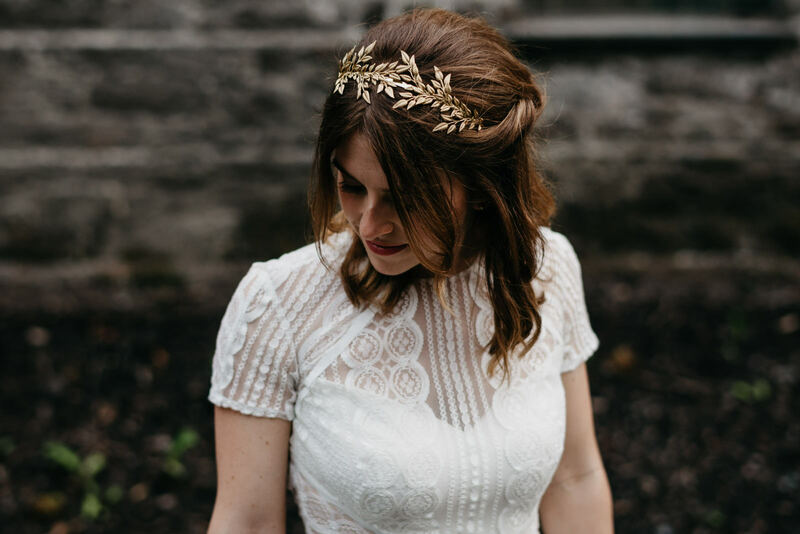 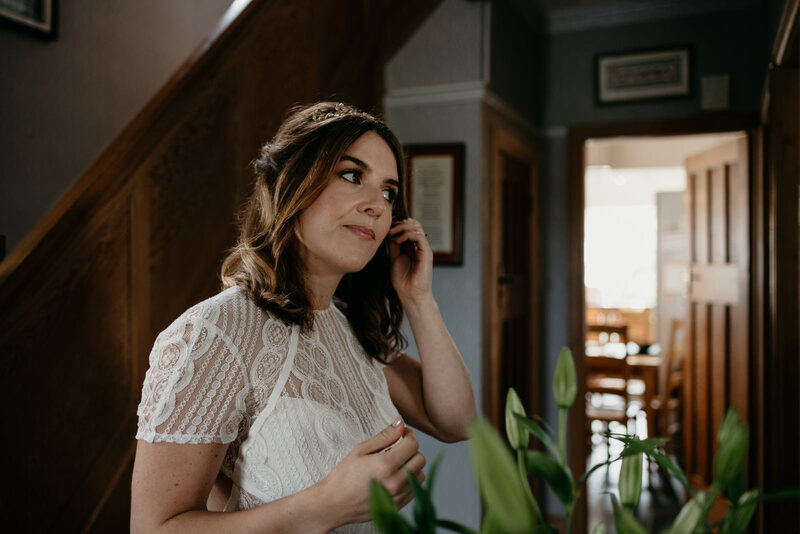 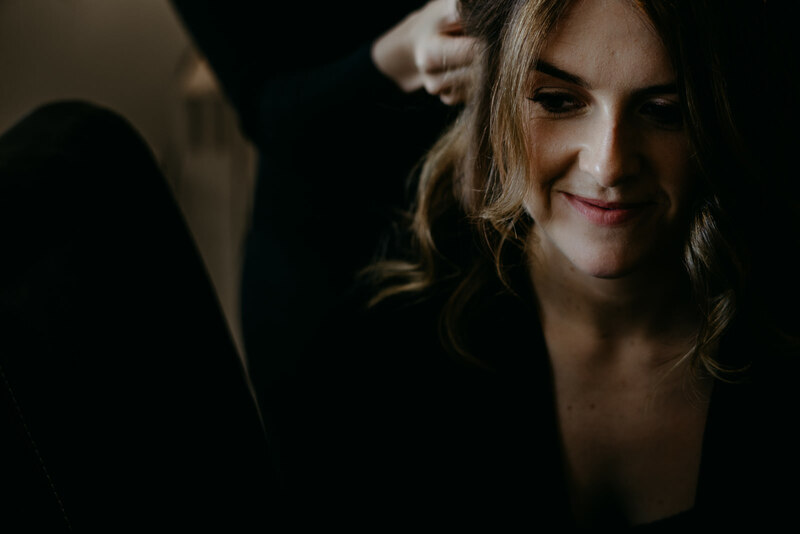 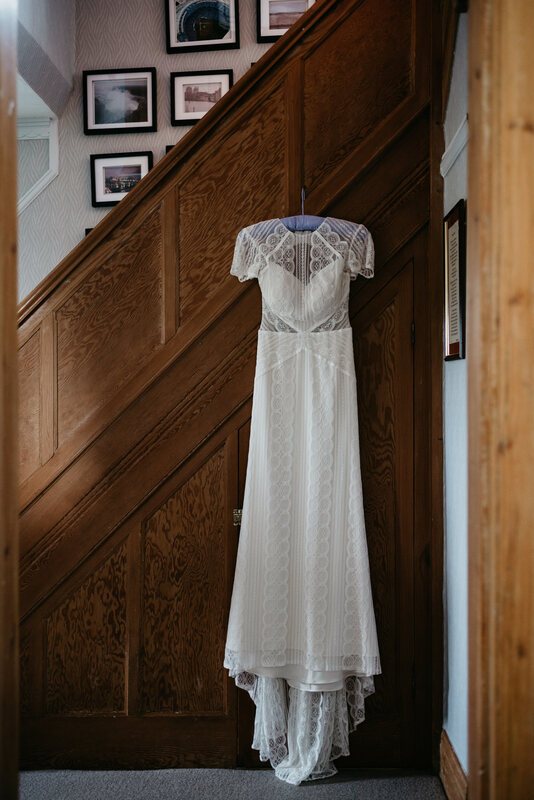 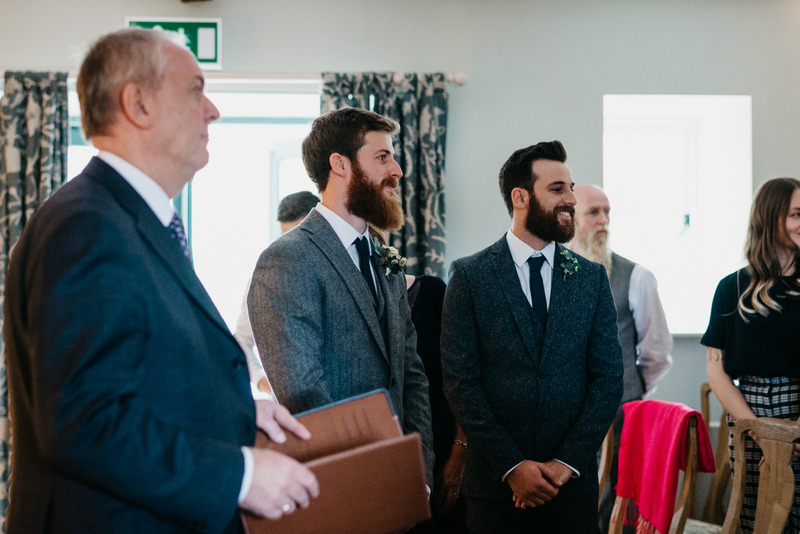 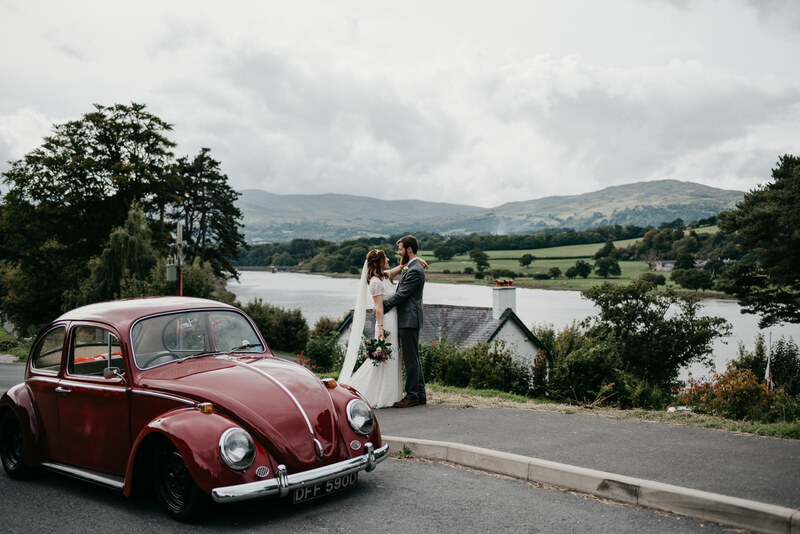 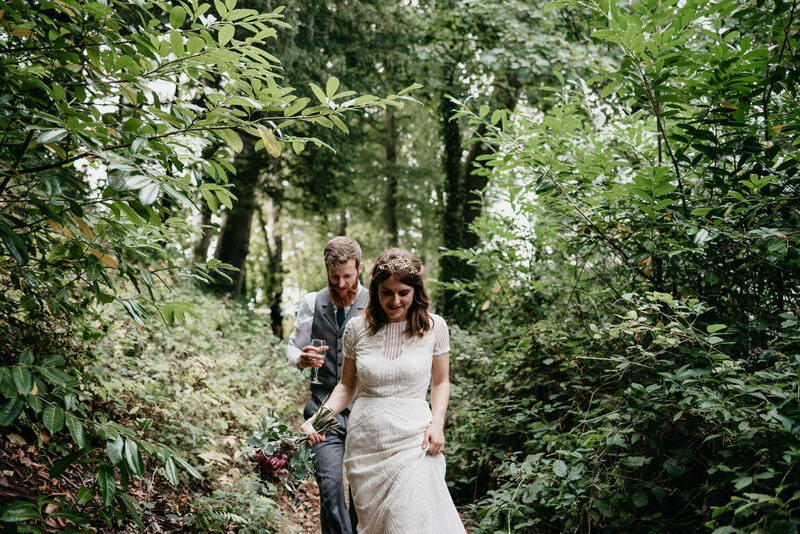 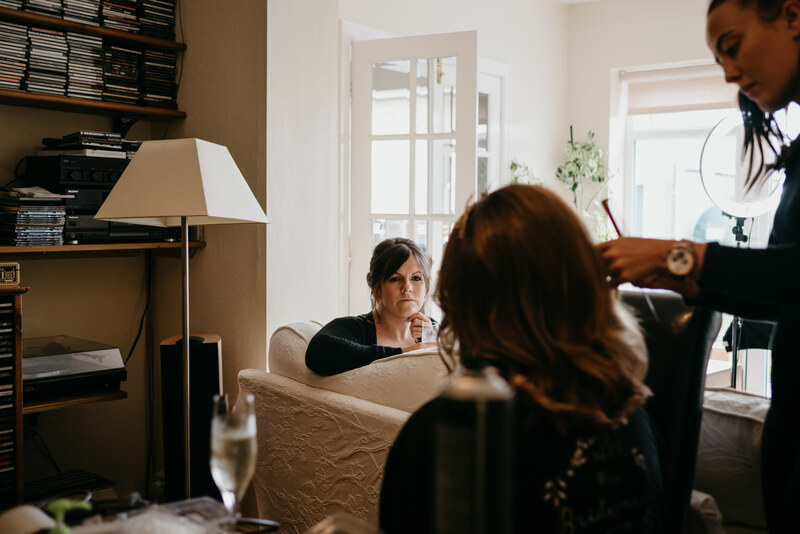 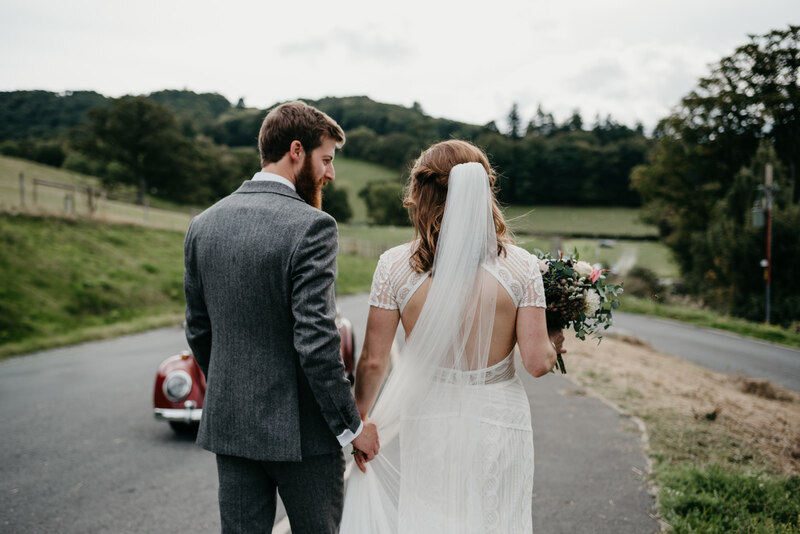 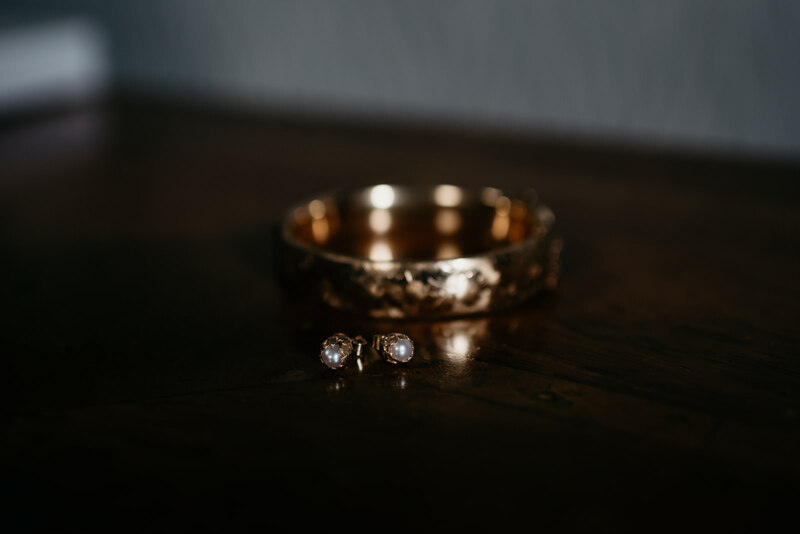 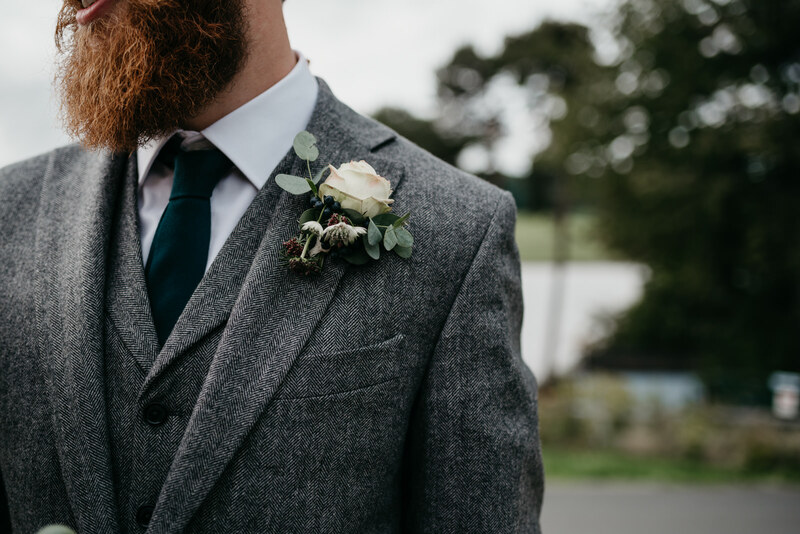 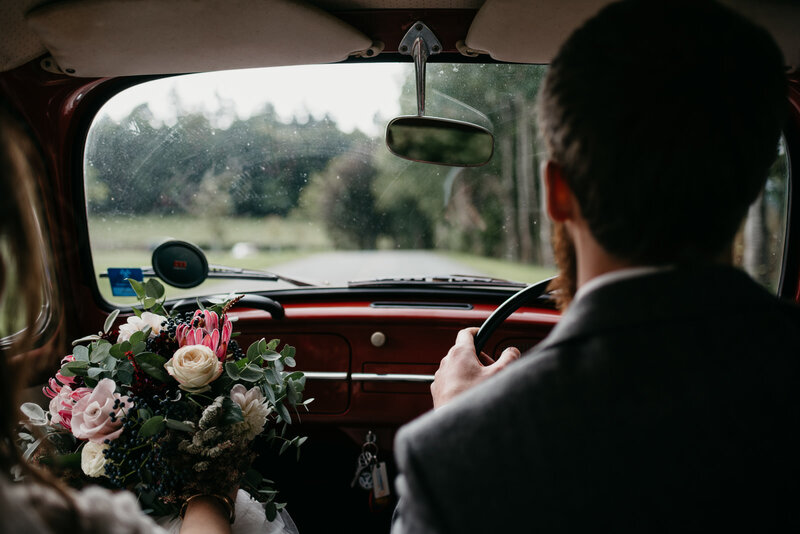 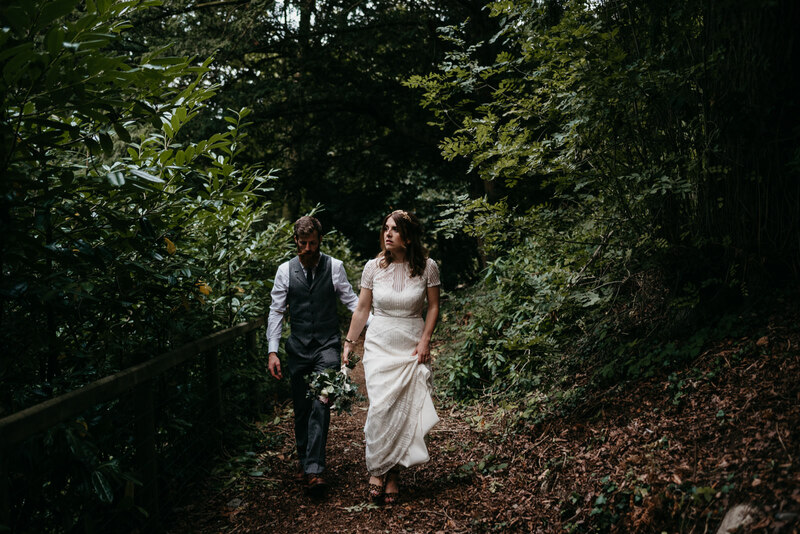 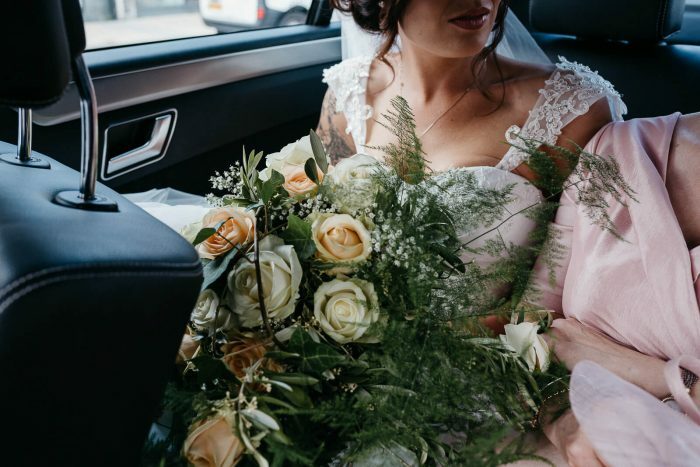 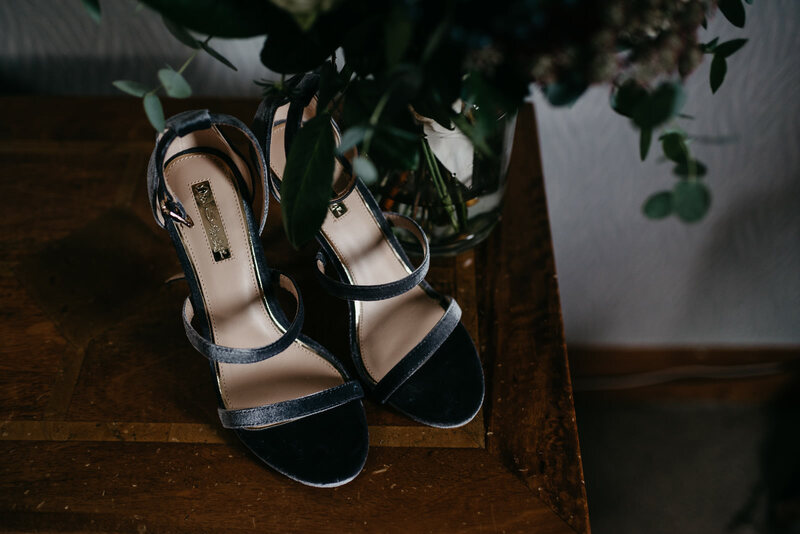 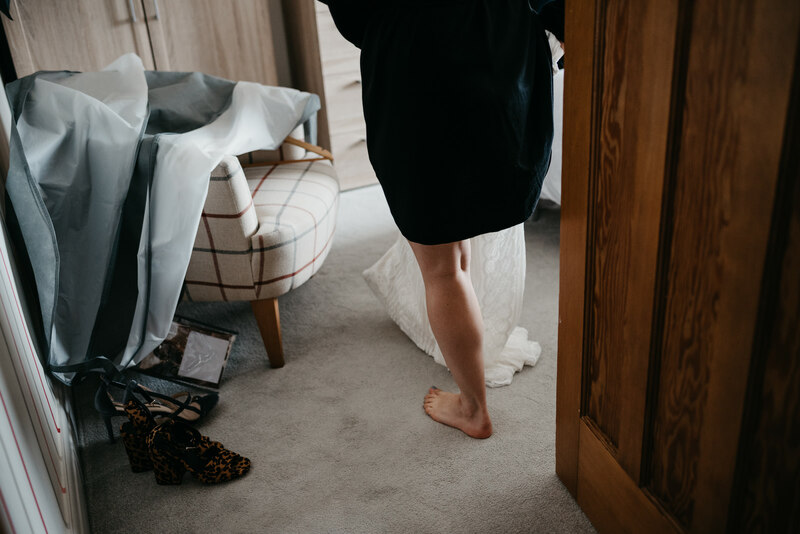 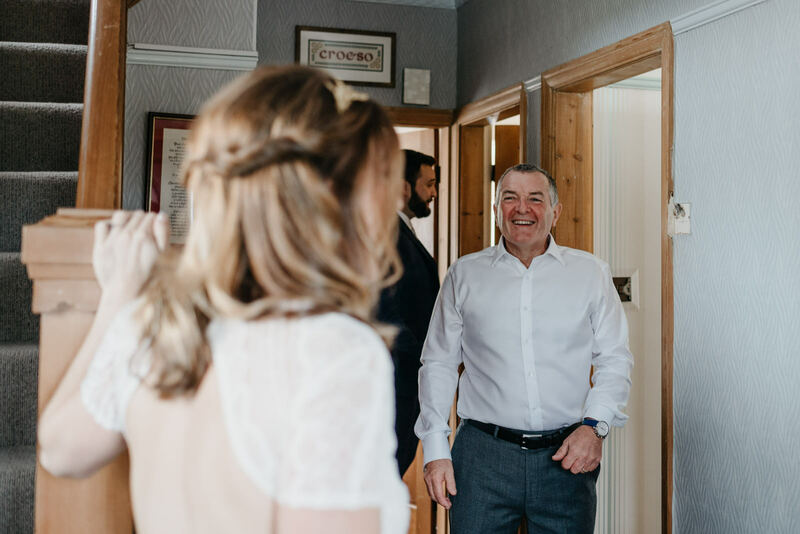 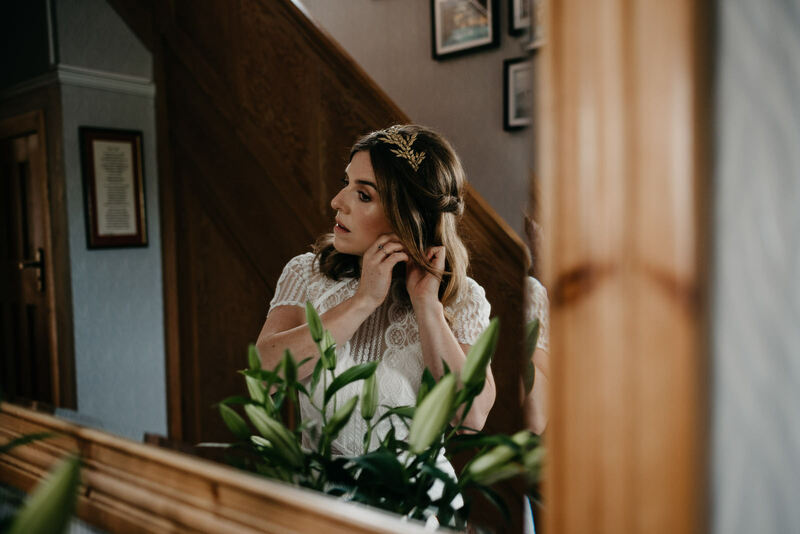 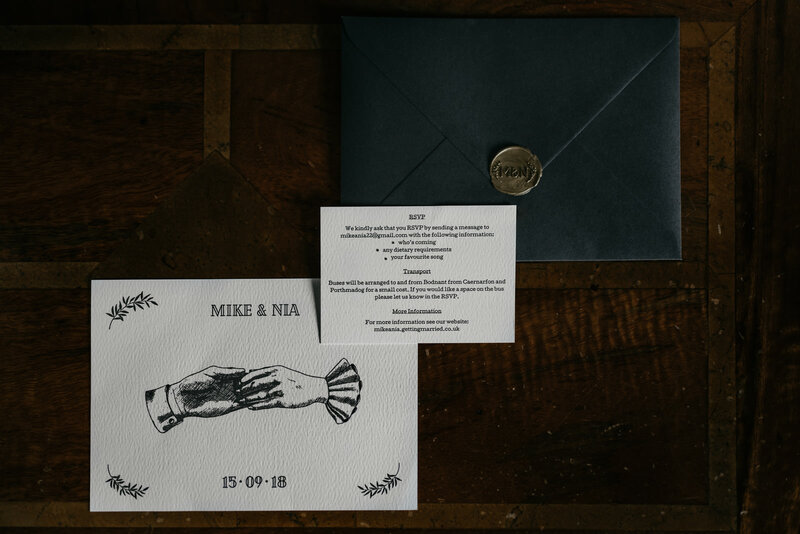 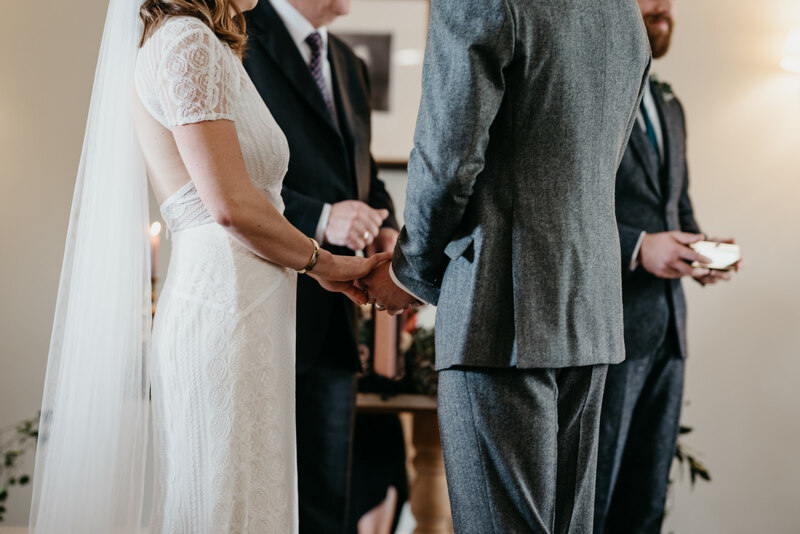 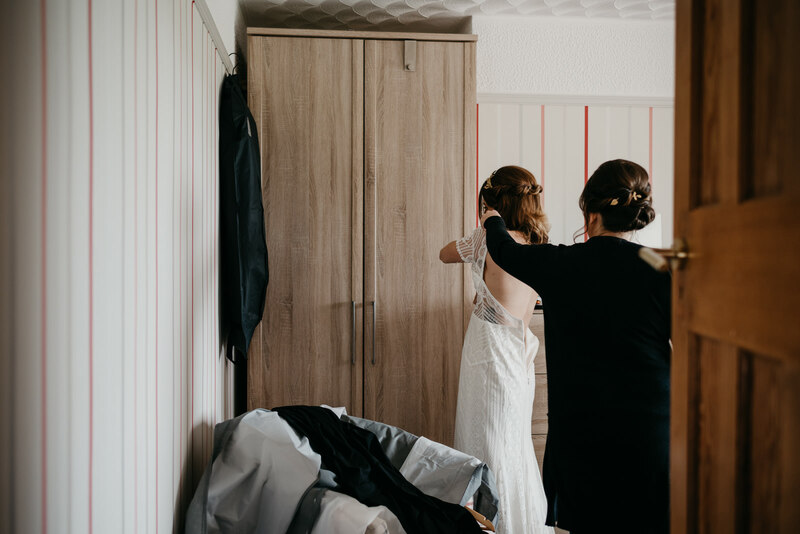 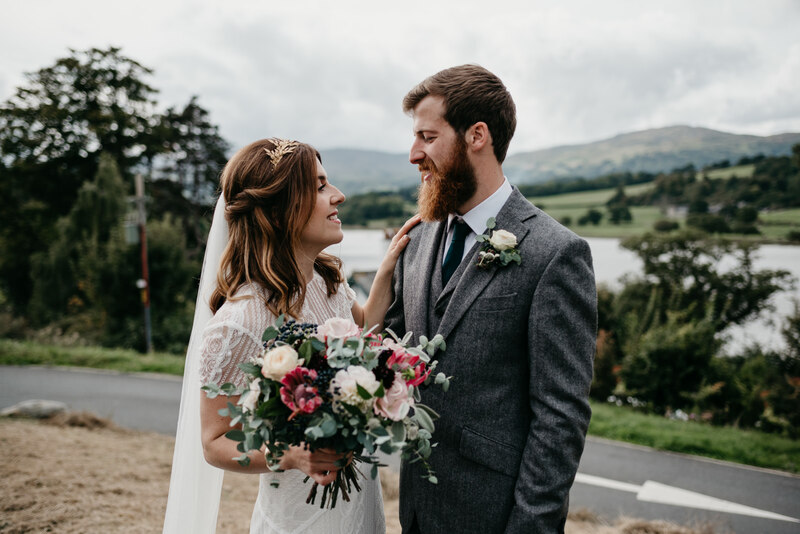 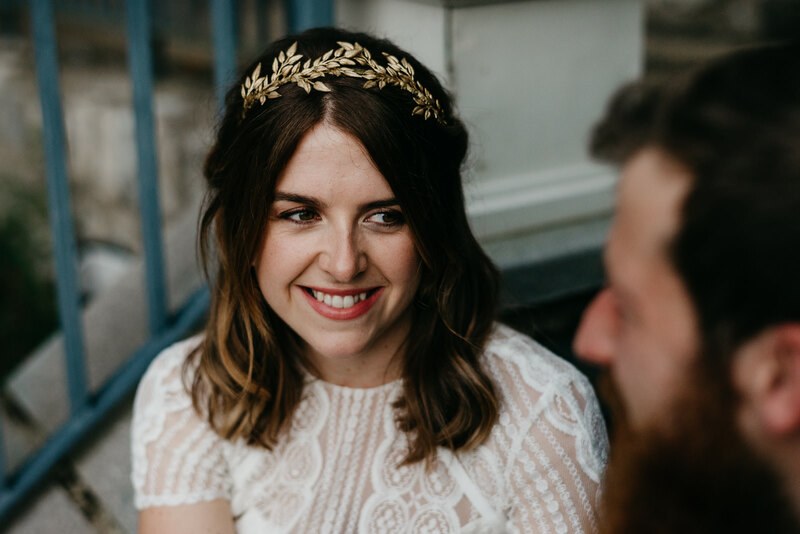 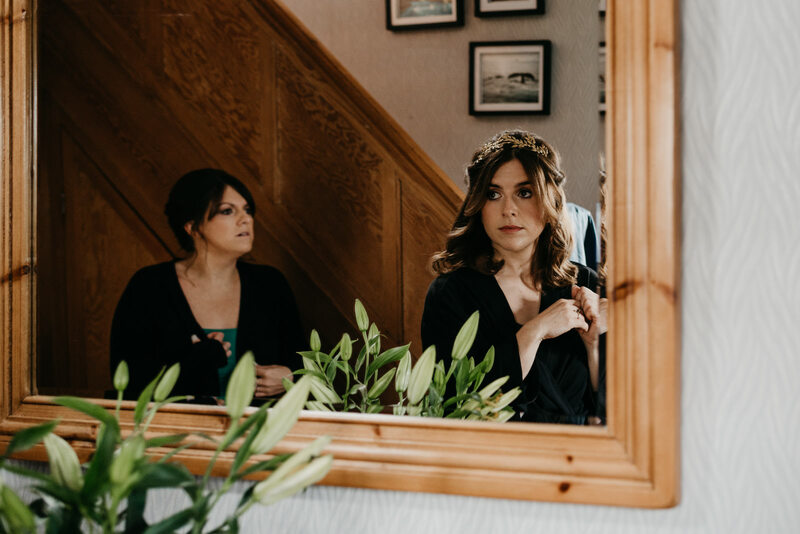 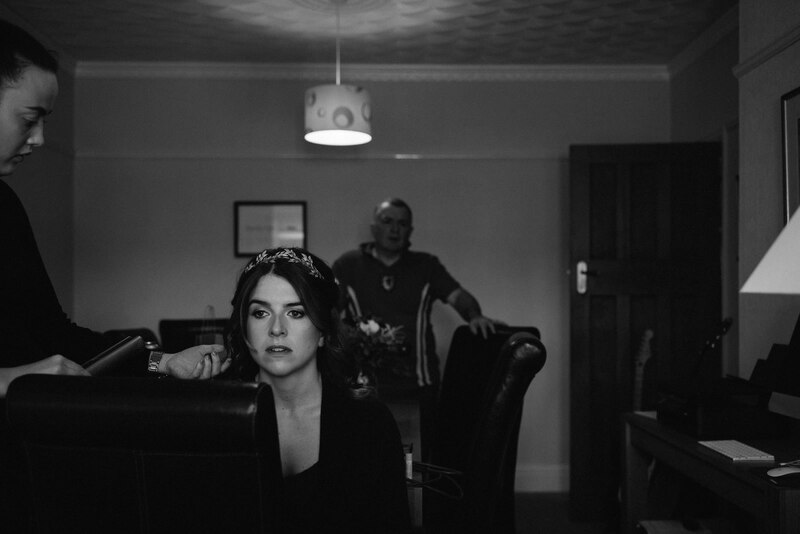 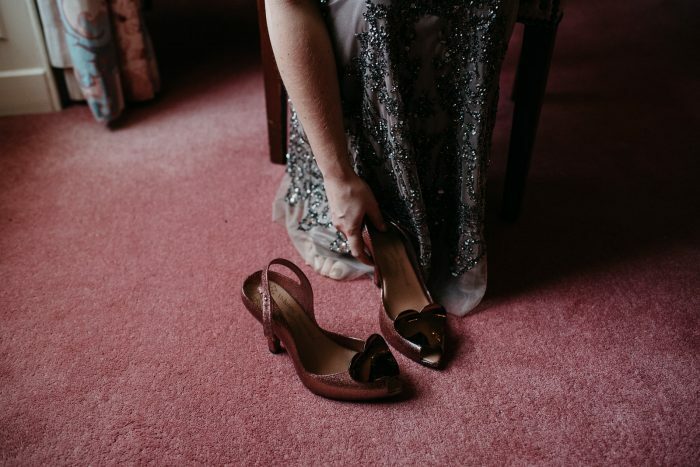 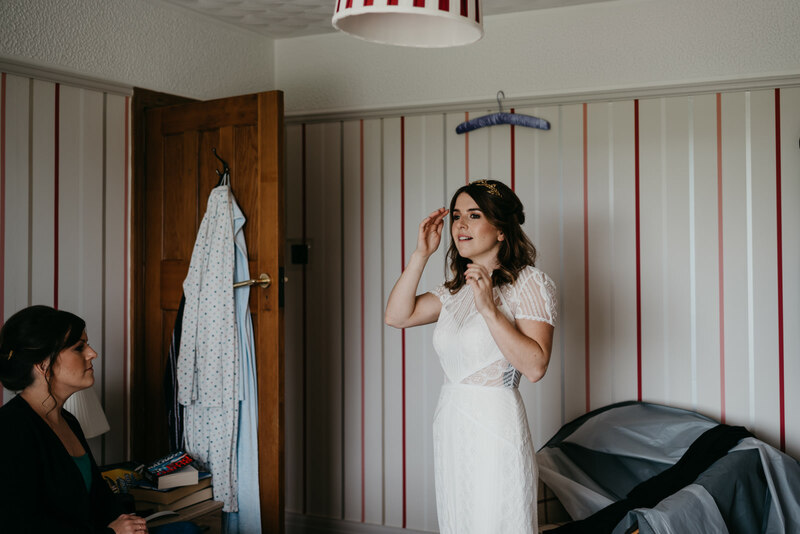 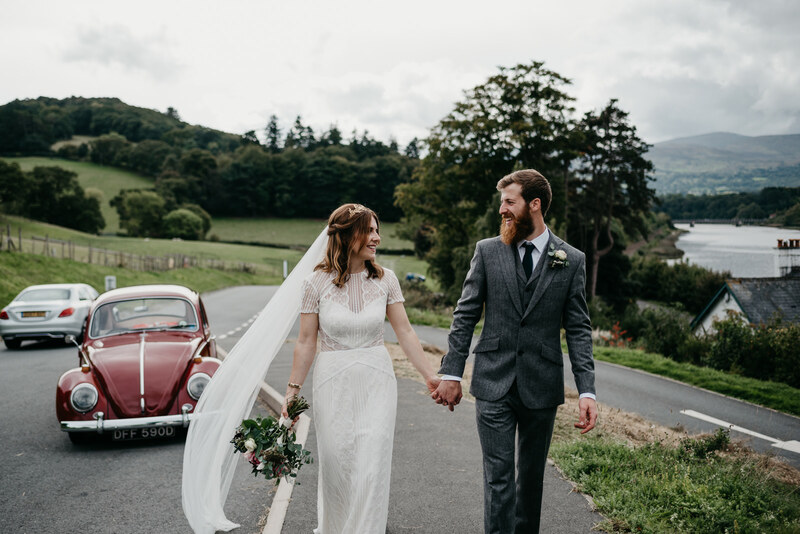 Nia and Mike got ready at their parents homes, before travelling to Bodnant to exchange vows. 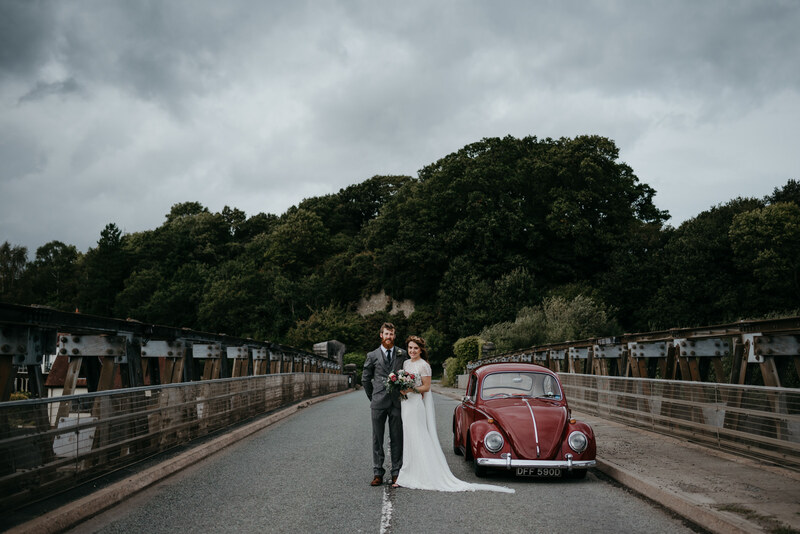 Afterwards we took a short drive to the old bridge near Tal-y-Cafn Station for some relaxed portraits. 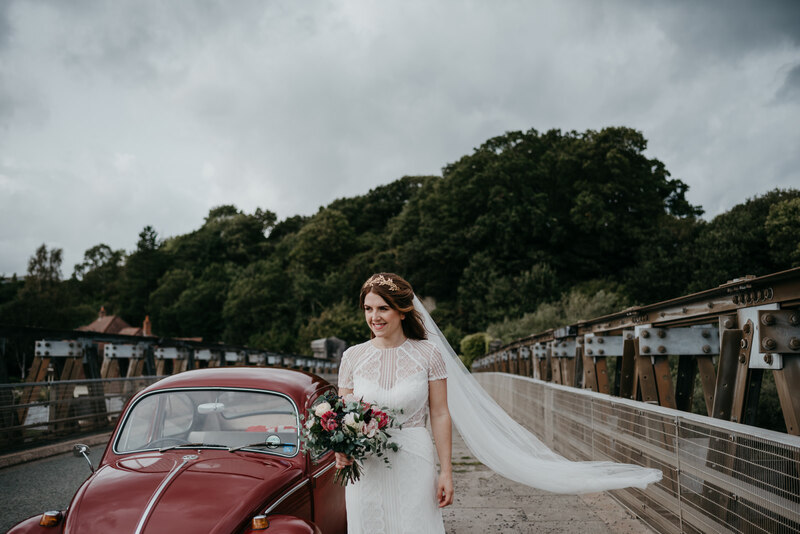 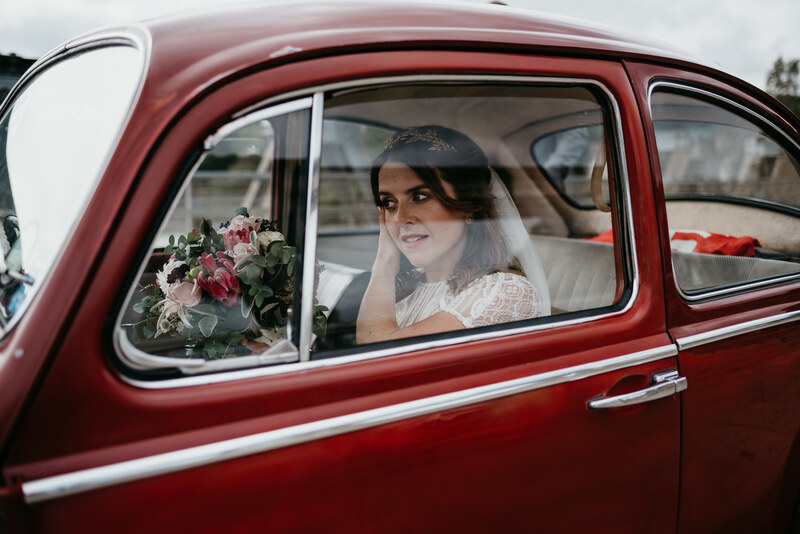 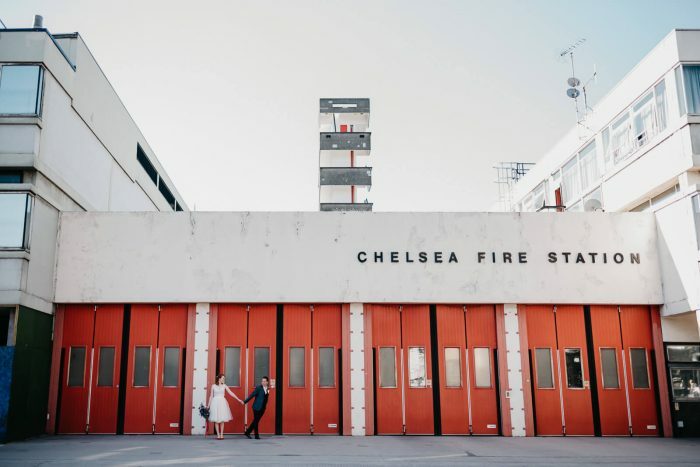 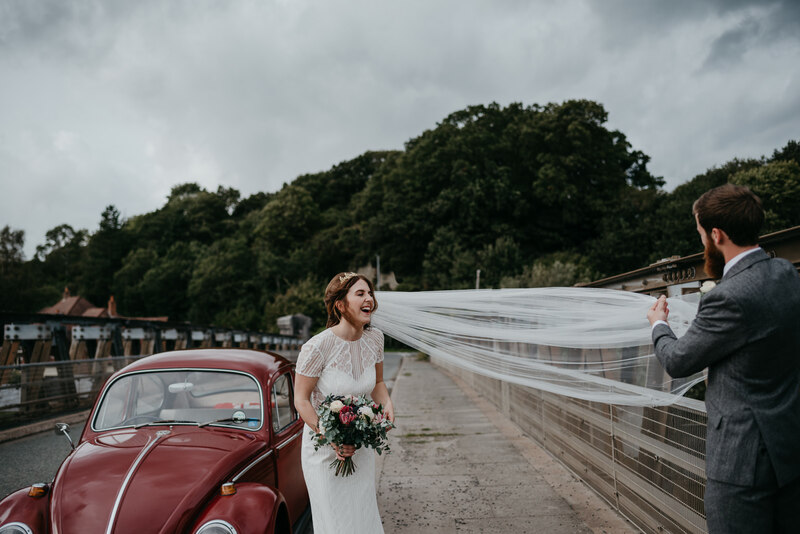 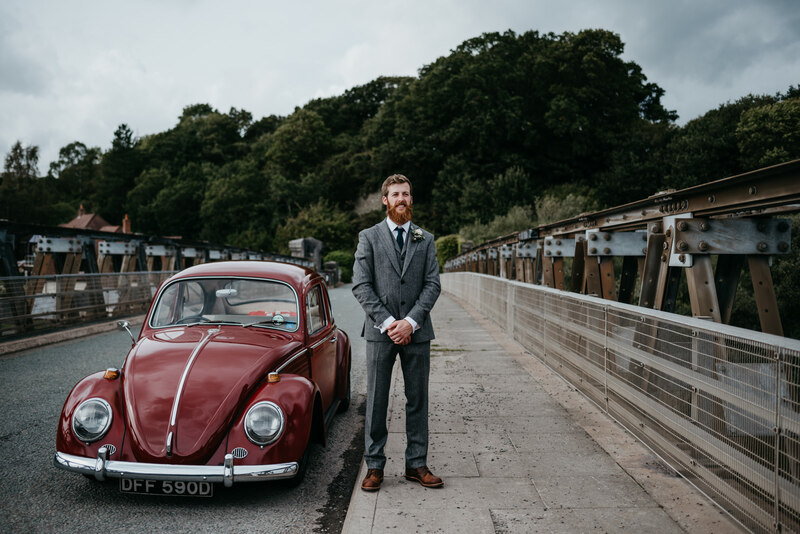 When a VW Beetle has been in your family since 1967 of course you are going to go for a spin in it on your wedding day! 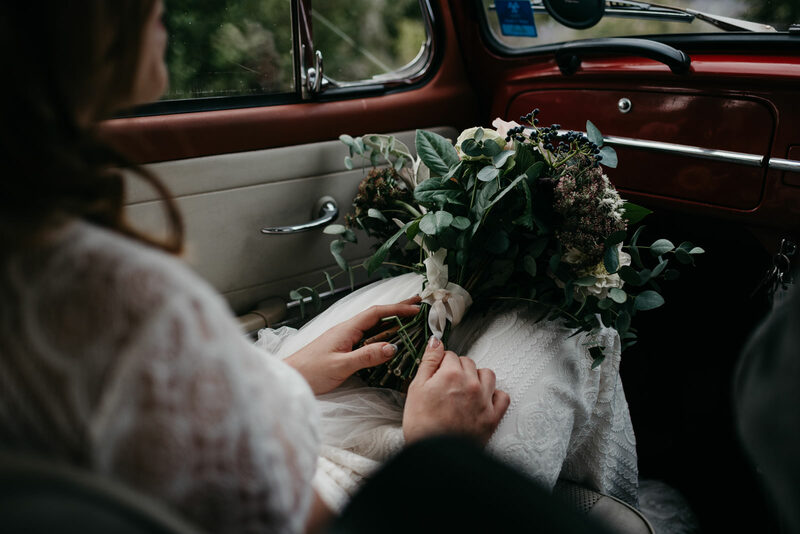 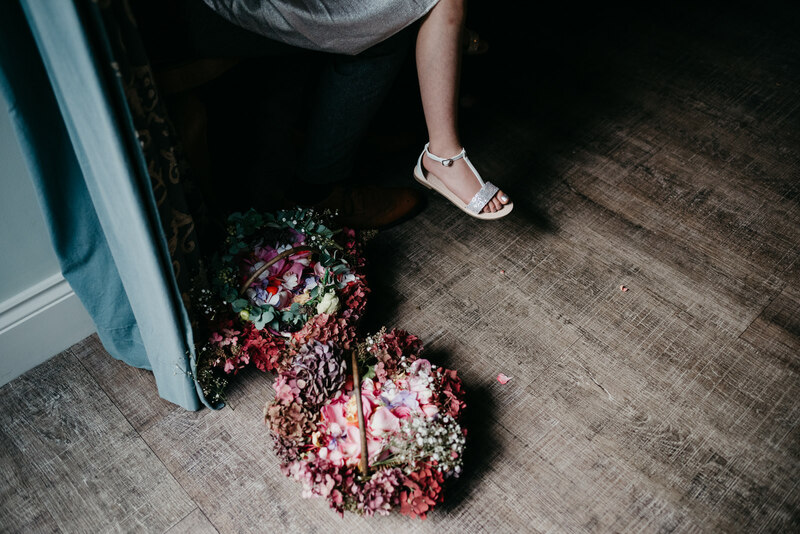 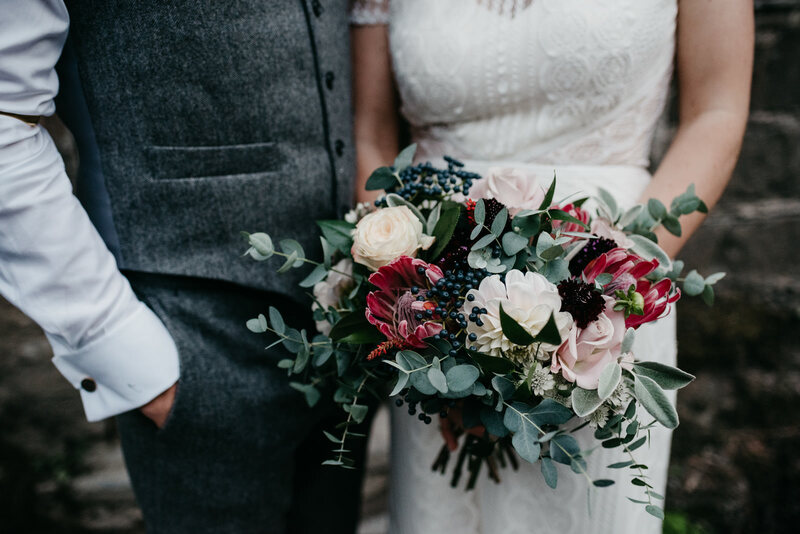 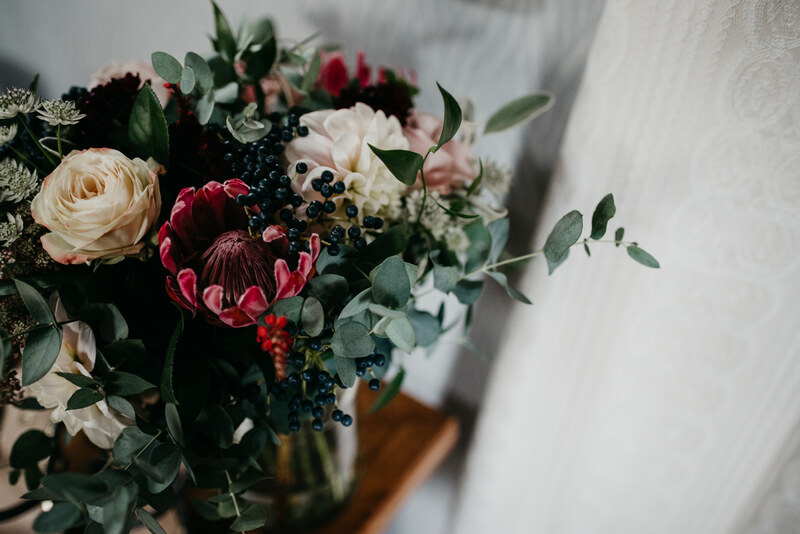 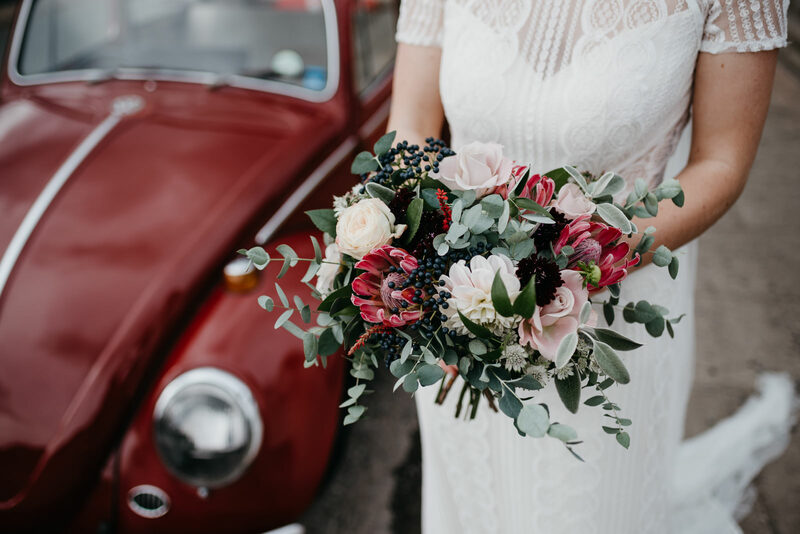 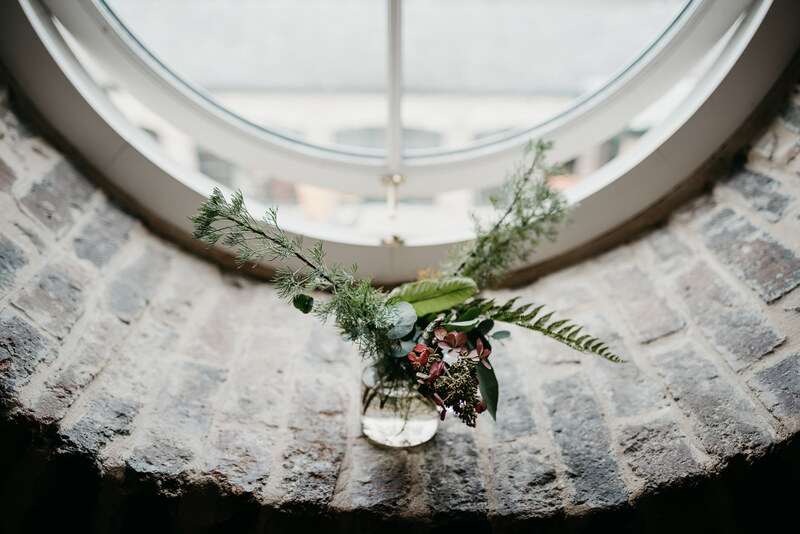 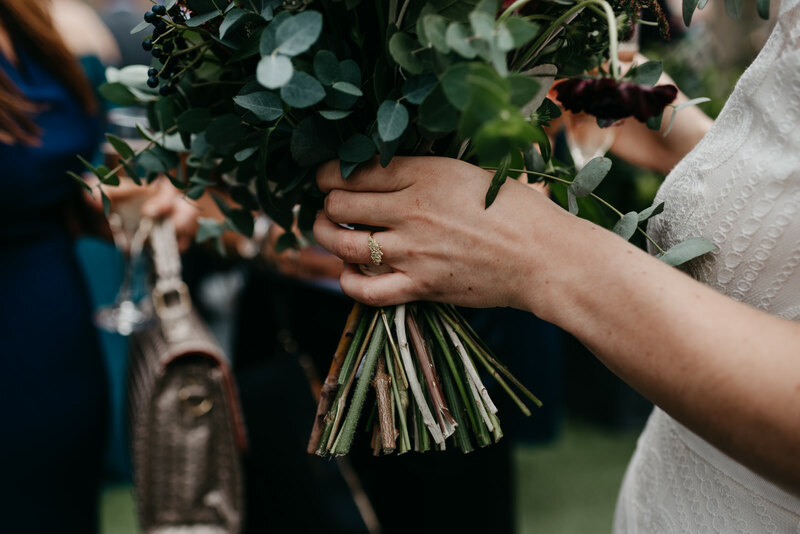 Bonus points when it’s paintwork matches the tones from the protea and scabiosa in your bouquet perfectly. 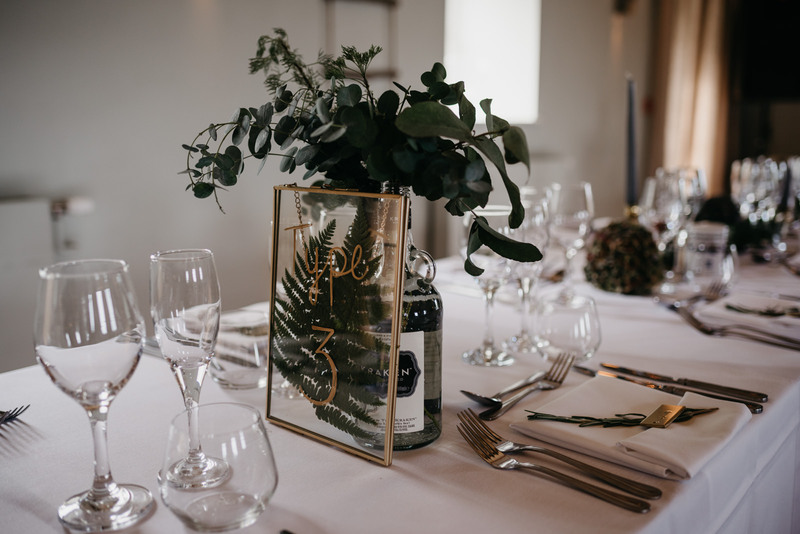 With the help of family and friends, Nia & Mike decorated the venue with vintage hydrangeas reused bottles and brass candle holders. 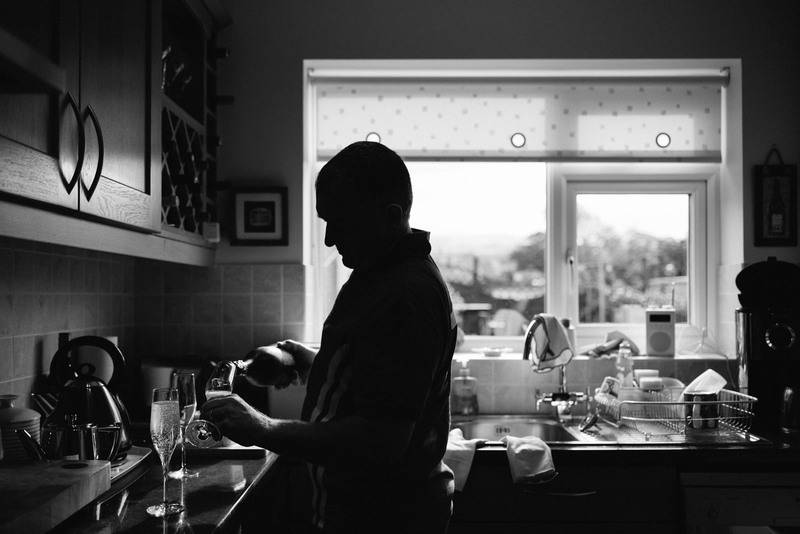 It looked spectacular as the sun went down during toasts. 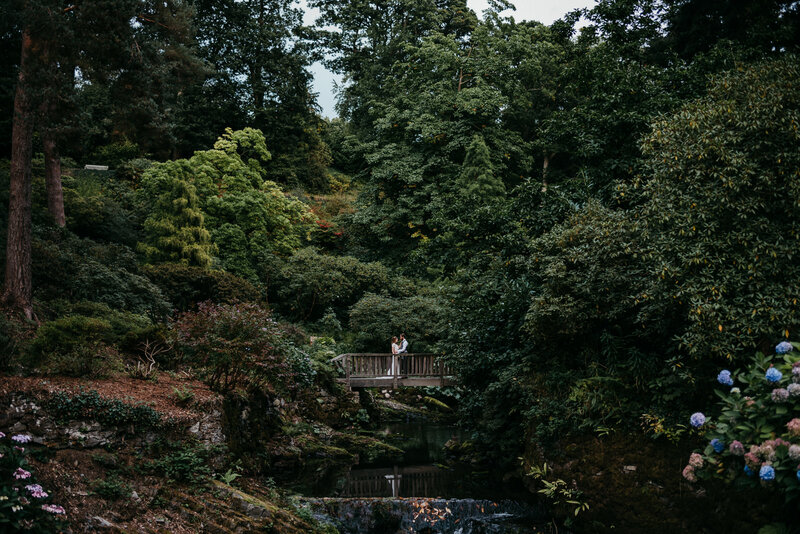 Just as the sun was setting, we snuck out again to explore the forestry areas and Bodnant Garden, which looked divine on the cusp of autumn.